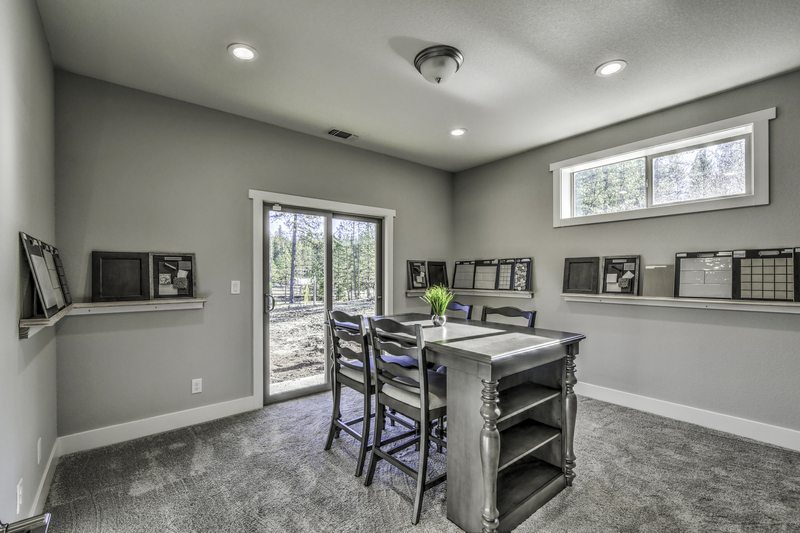 Breaking ground the spring of 2018, Timberwood Estates is located in historic Grass Valley, California, in the western foothills of the Sierra Nevada mountain range. 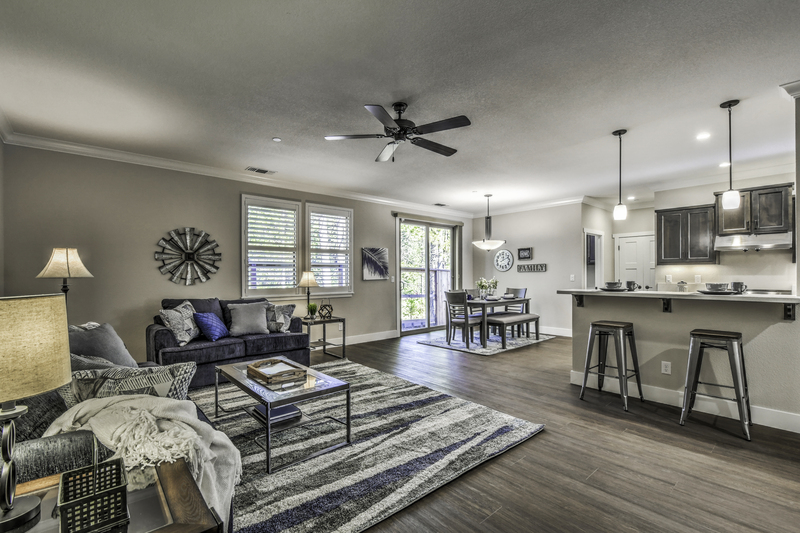 From breathtaking scenery, to the historic flavor of the Gold Rush, the City of Grass Valley remains committed to providing an attractive and quality environment in which to live and work. 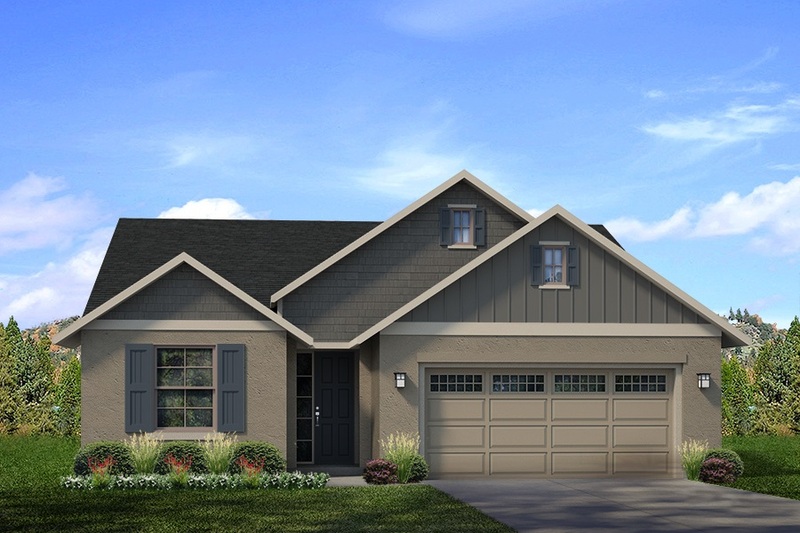 Timberwood Estates presents 45 lots, offering semi-customized homes in three sizes of 1,804 – 2,080 – 2,224 square feet, including spacious 2-car garages. 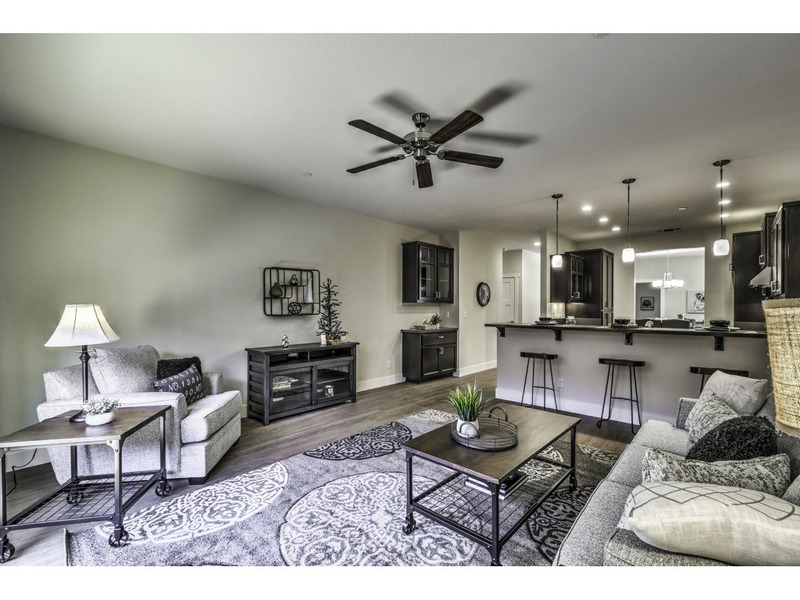 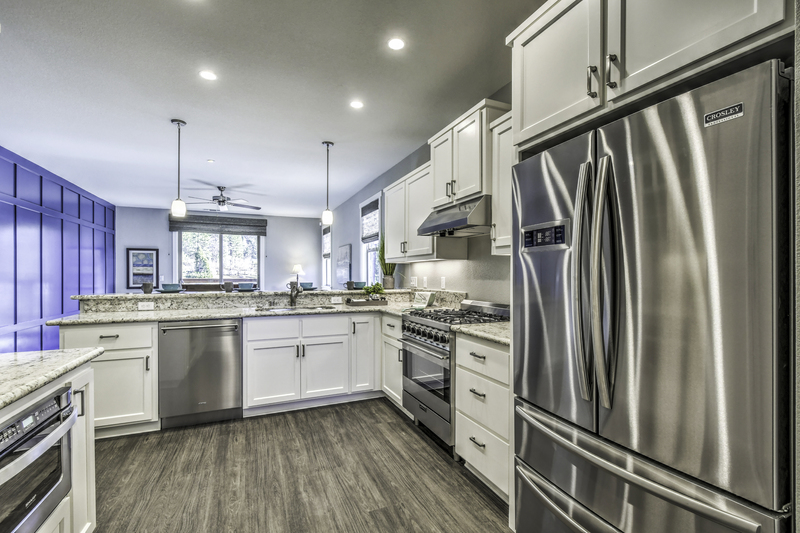 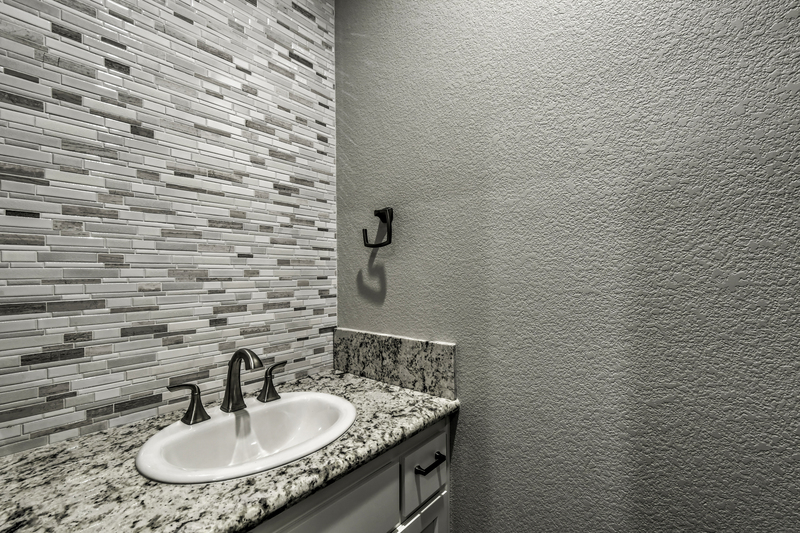 All homes have stucco and siding exterior, granite/quartz counters, tile shower per plan, stainless steel appliances, and front yard landscaping included. 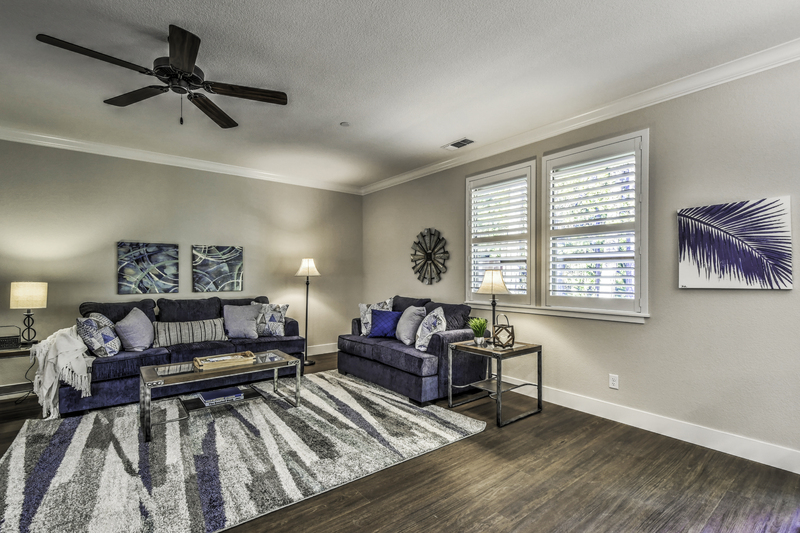 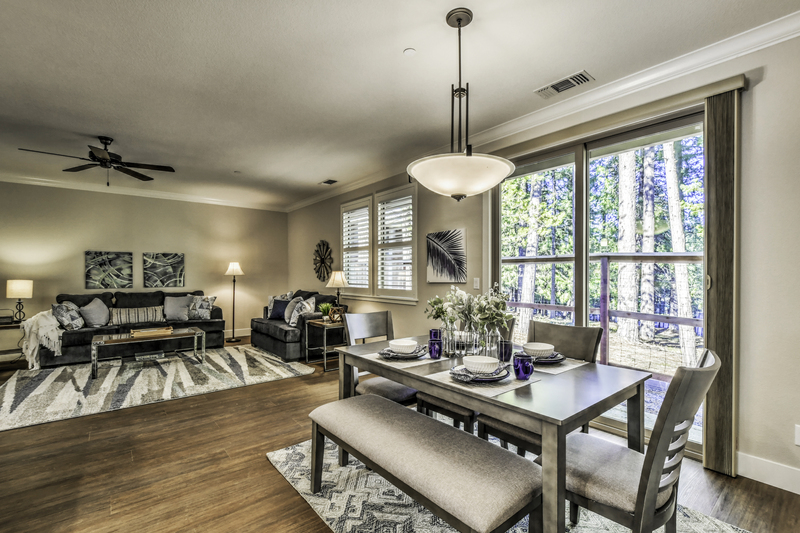 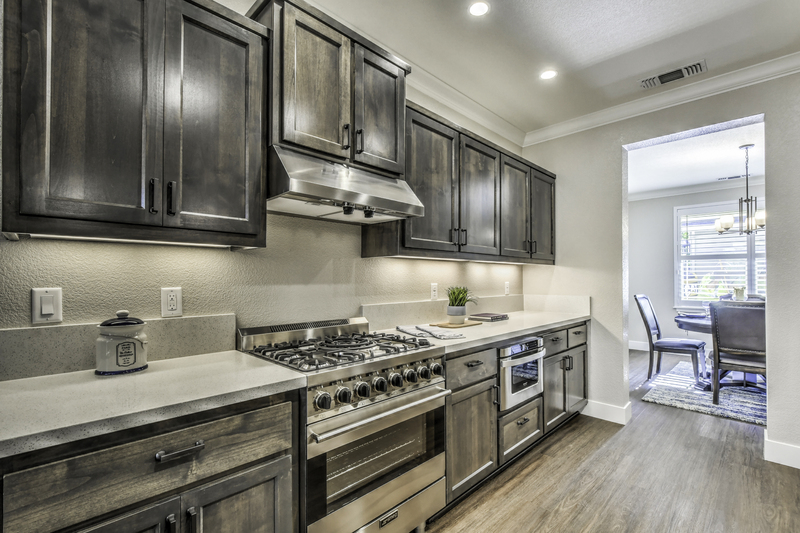 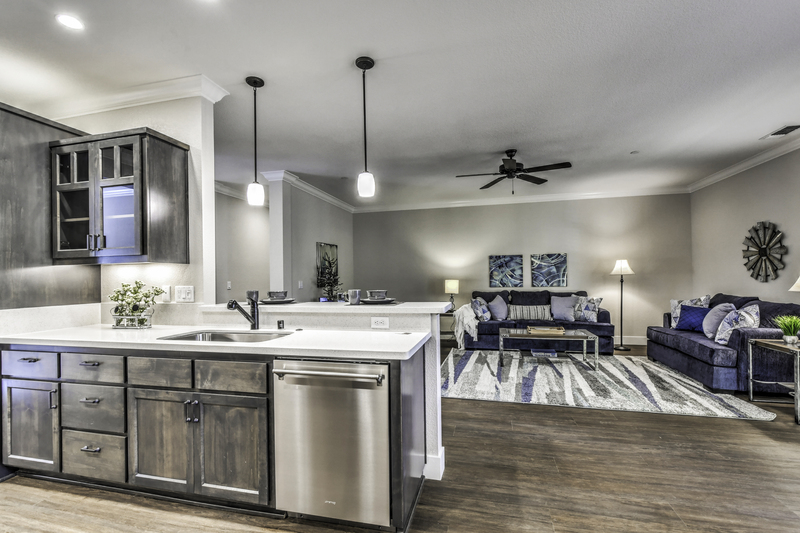 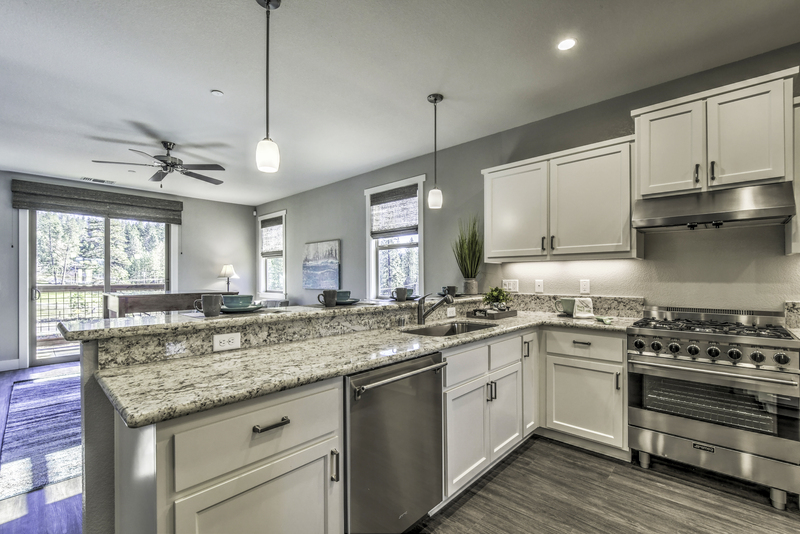 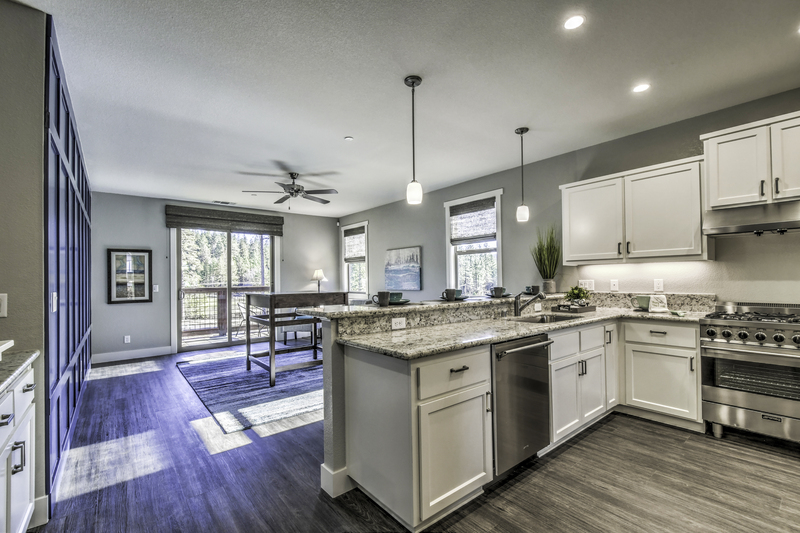 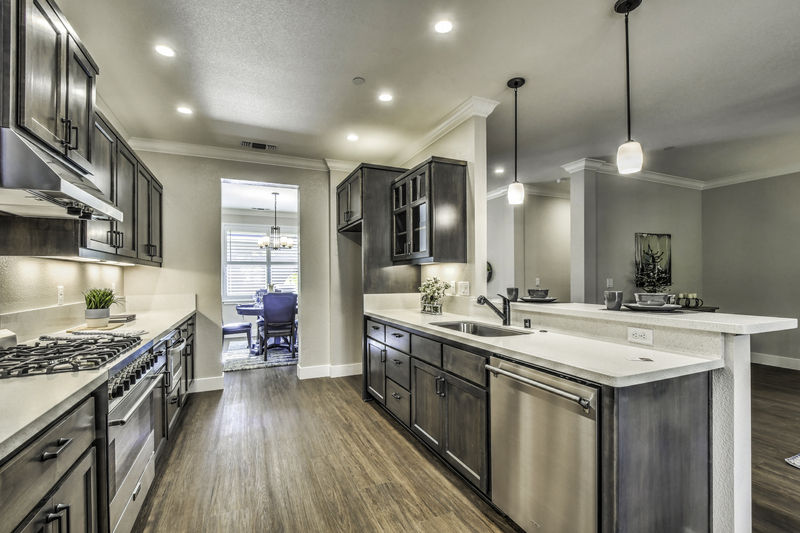 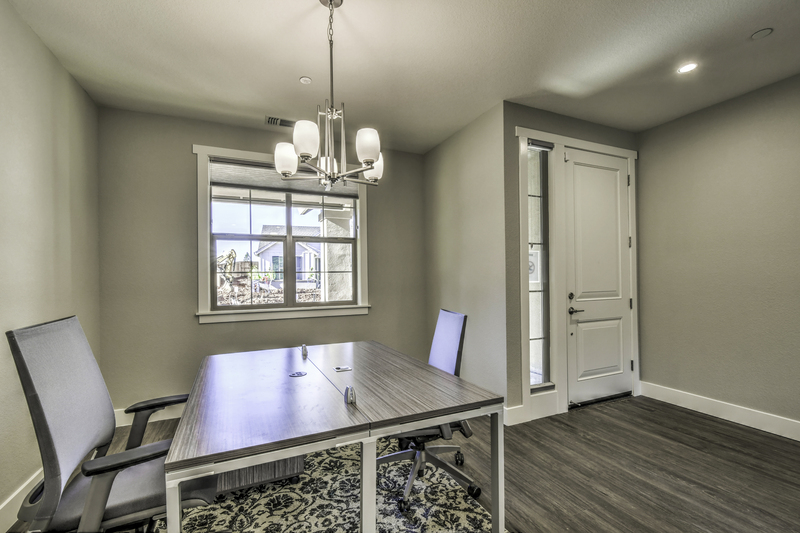 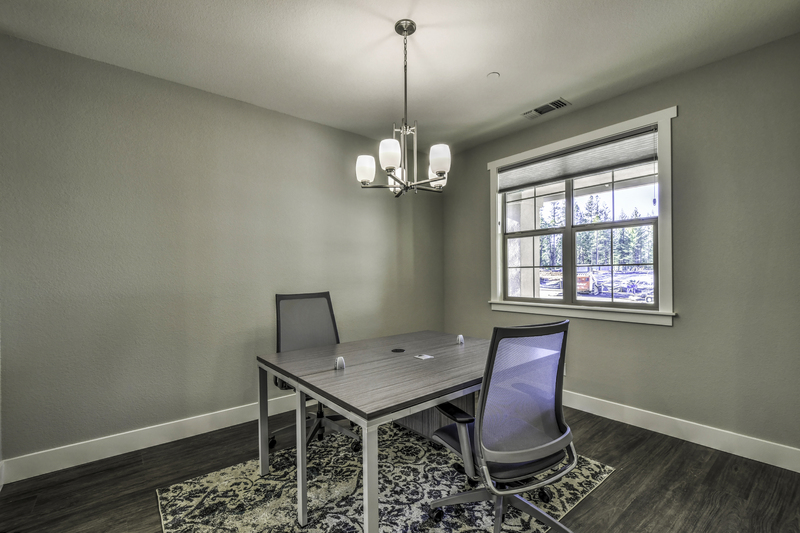 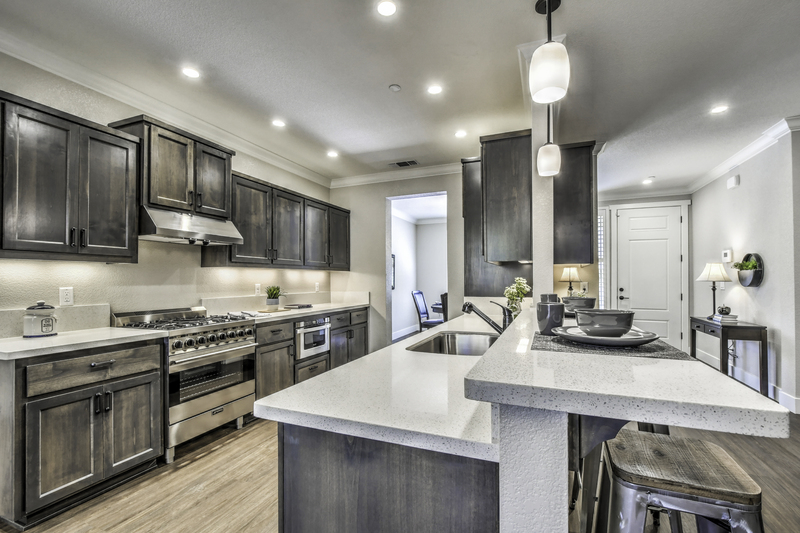 At 1,804 square feet, the Whittmer is available in two floorplans: a 3-bedroom 2-bath or a 4-bedroom 2-bath. 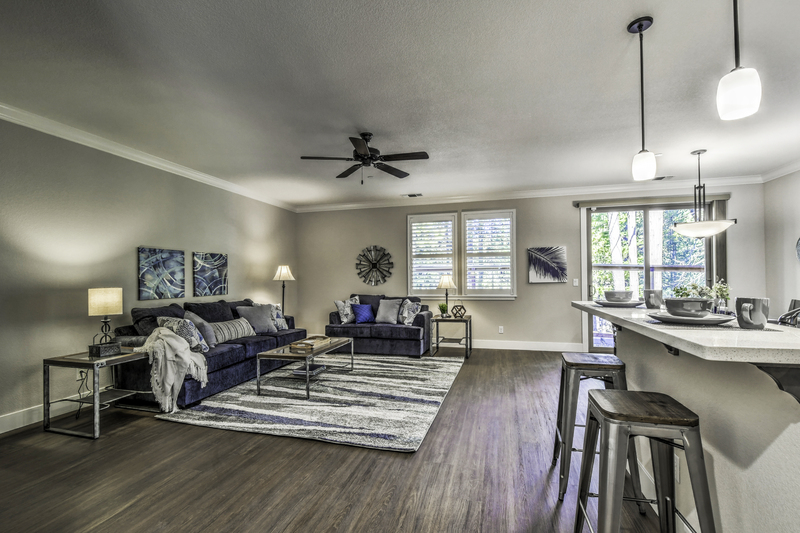 3-Bedroom: This home offers beautiful windows for ample natural light and a dining area adjacent to the kitchen, paired to the enormous great room and direct access to the backyard. 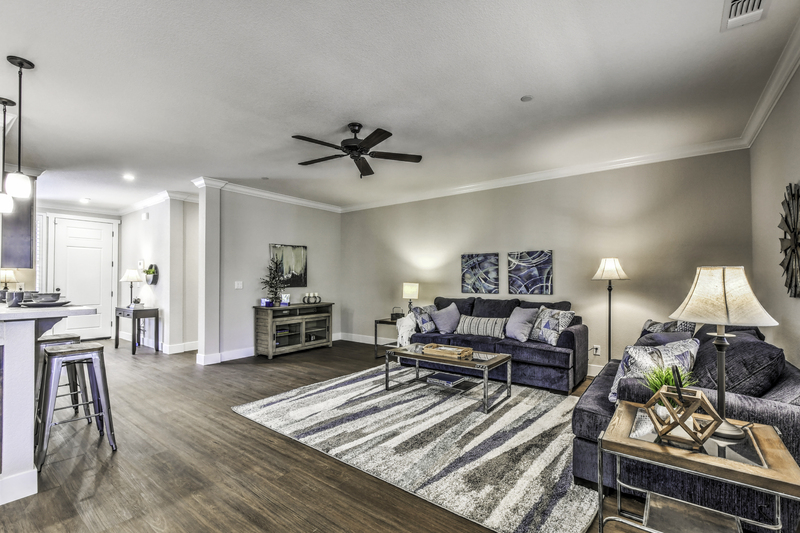 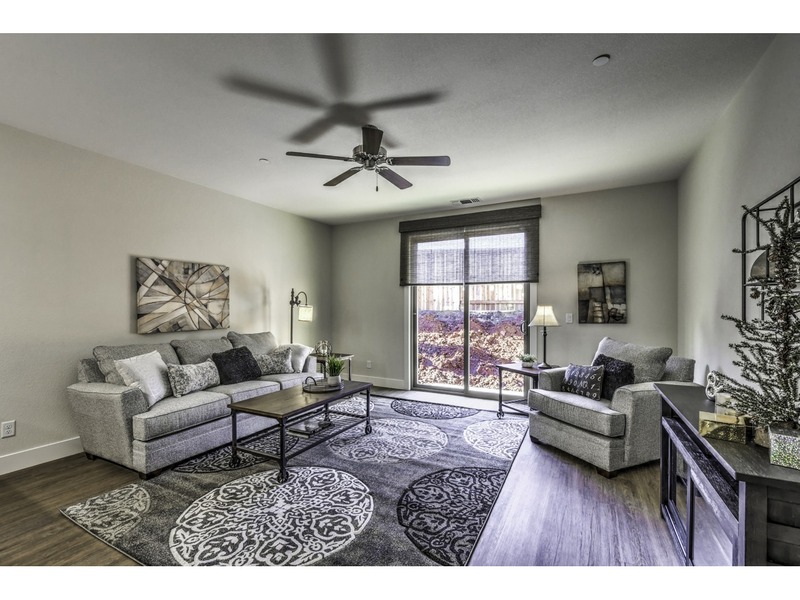 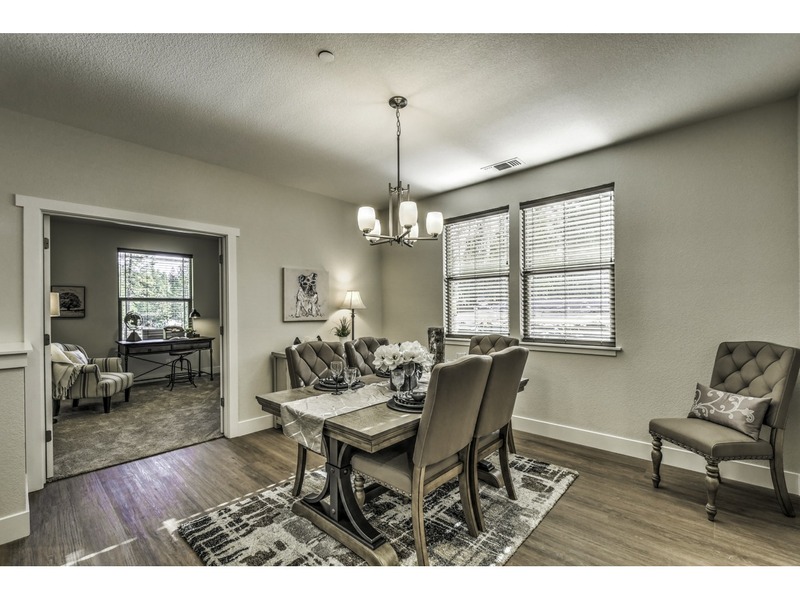 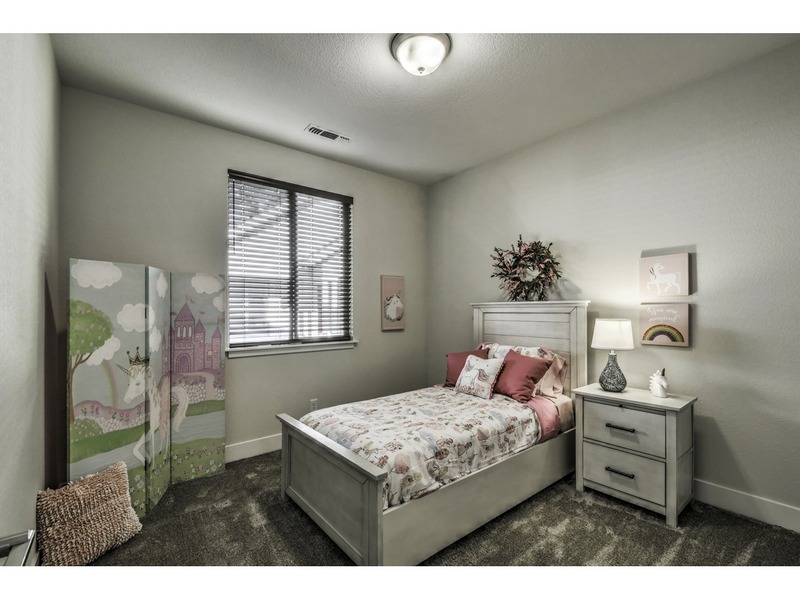 For families of all shapes and sizes, this floor plan offers the flexibility of a Study/Den option in lieu of third bedroom. 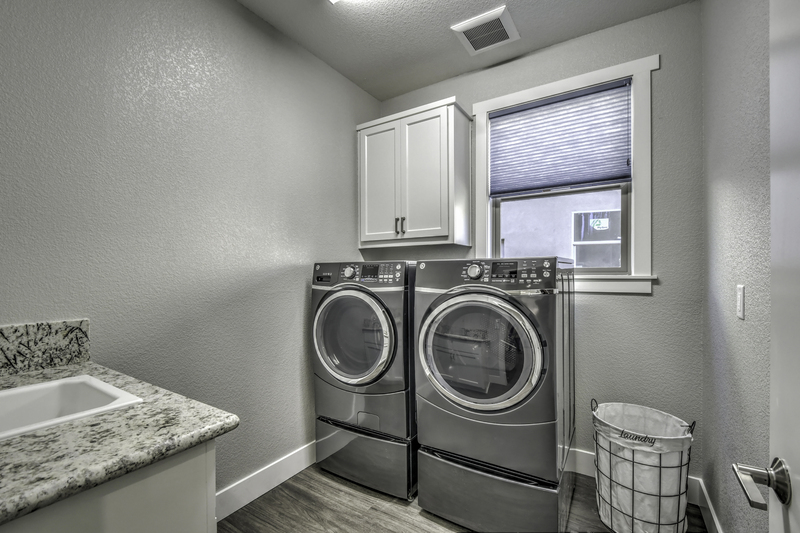 A separate utility room with a built in laundry sink offers homeowners a dedicated space for laundry without sacrificing storage space. 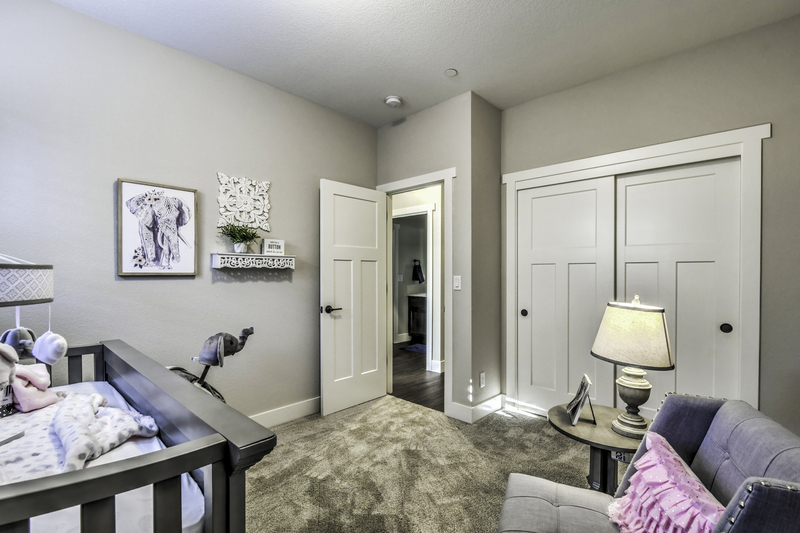 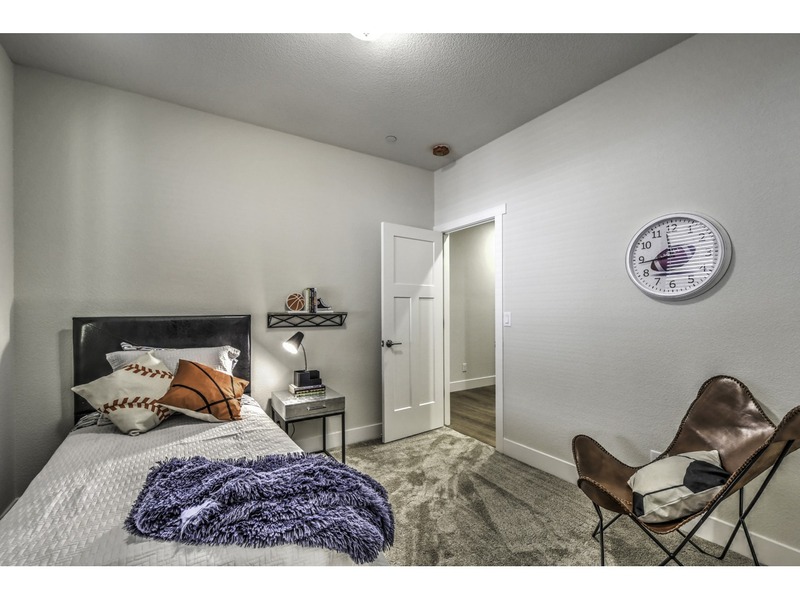 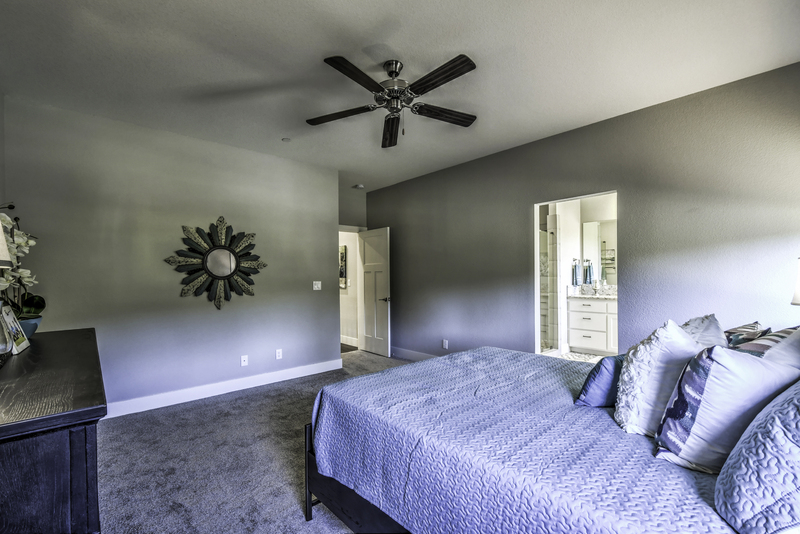 The Master Suite comes with features tailored specifically for comfort and ease, such as a substantial walk-in closet, double vanity sinks, a free-standing bathtub, separate tile shower, and plenty of room to unwind at the end of the day. 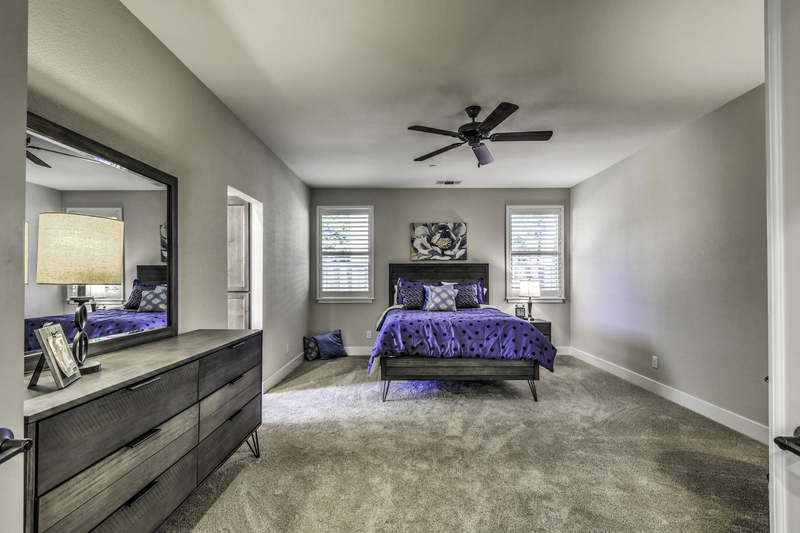 4-Bedroom: Our 4 bedroom house offer the luxury of extra space for you and yours. 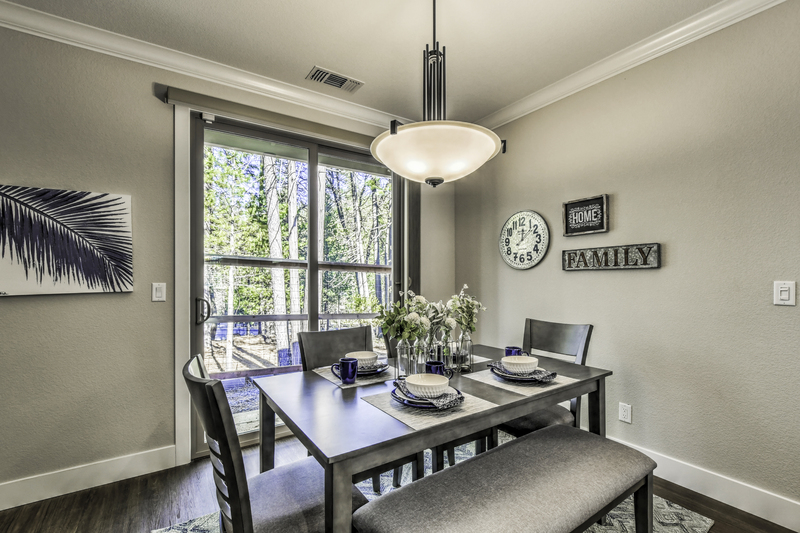 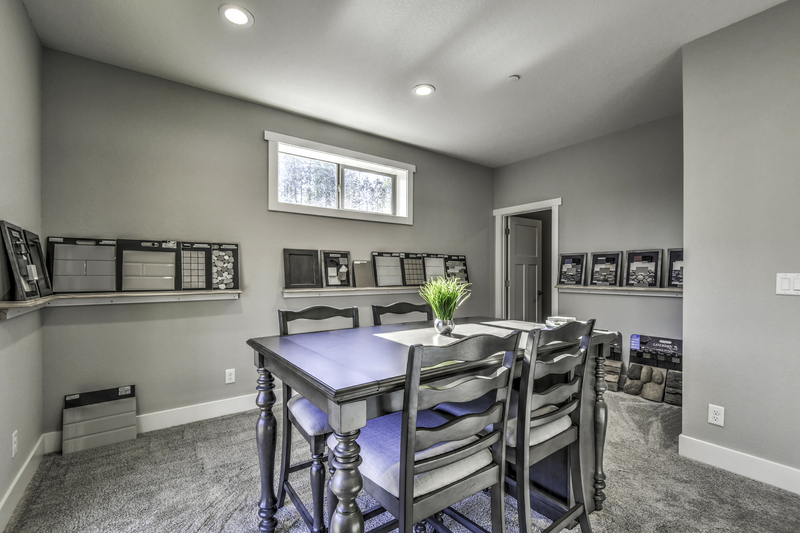 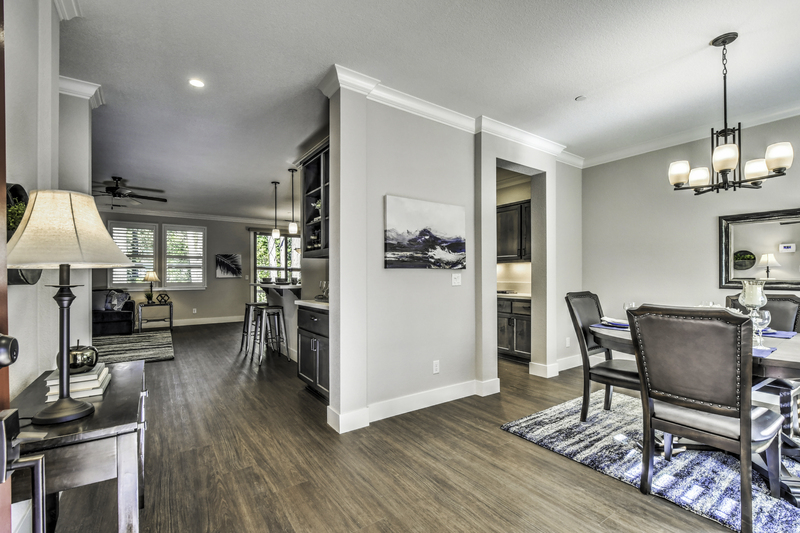 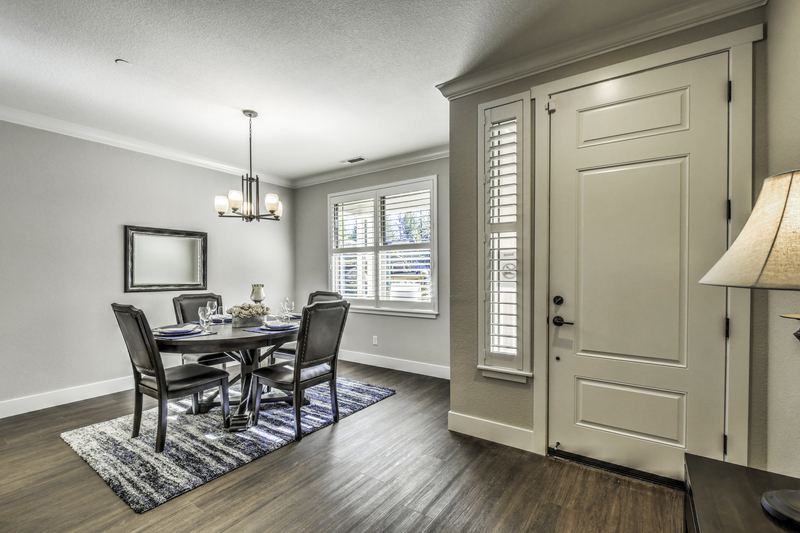 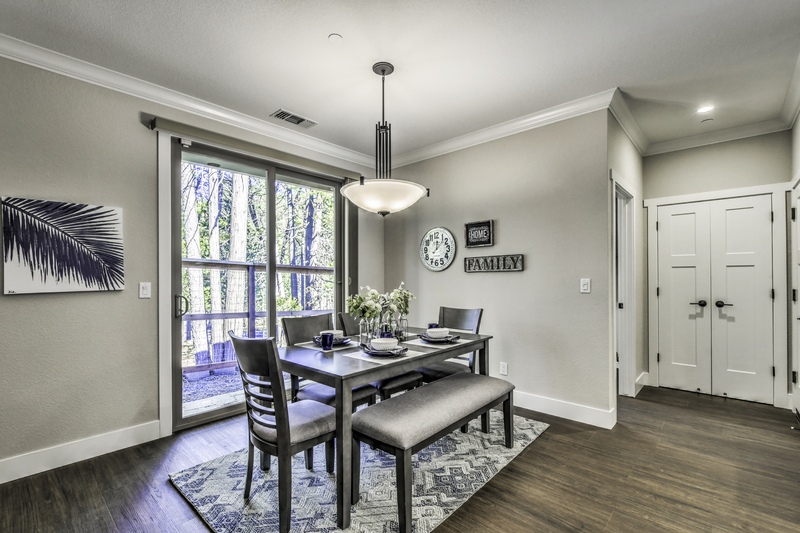 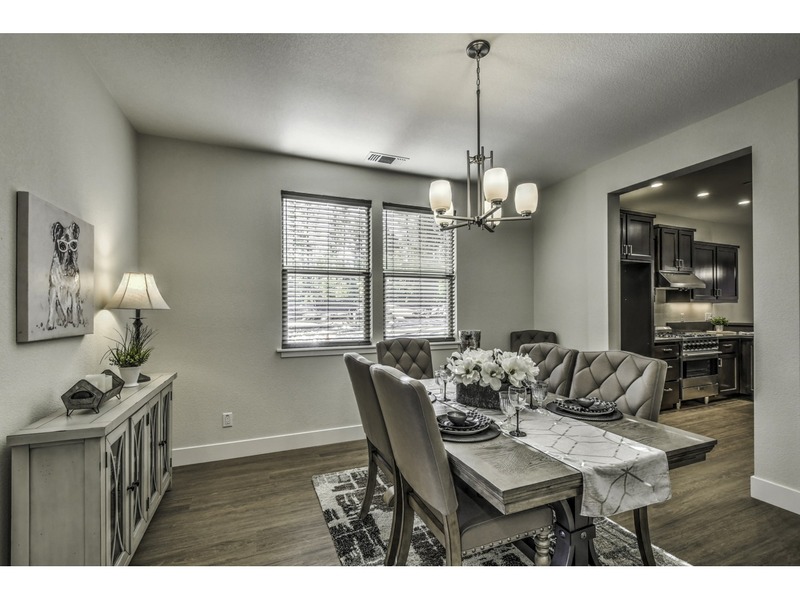 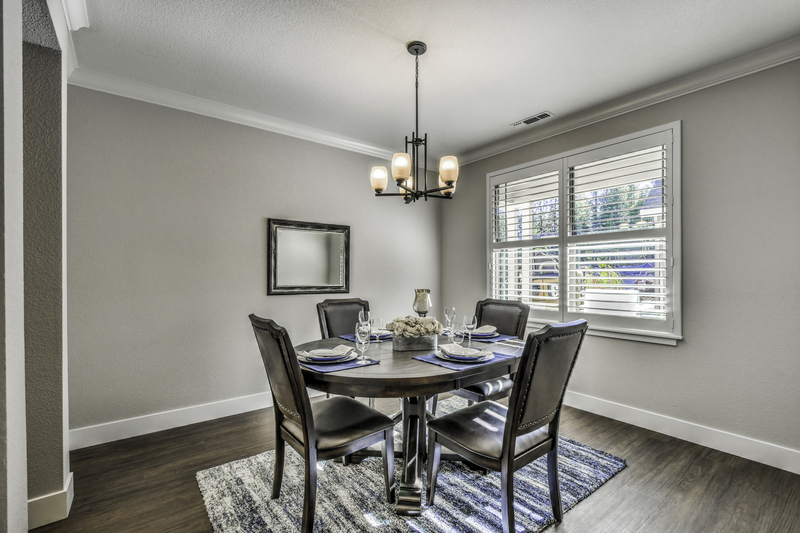 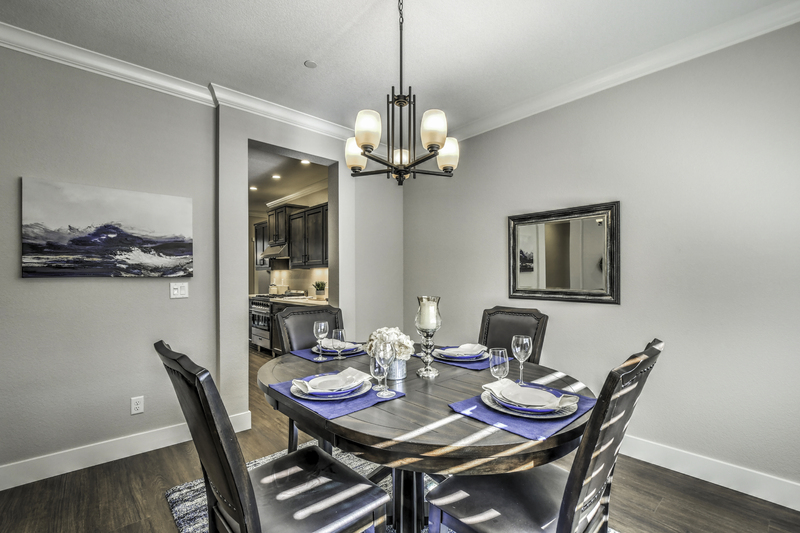 With a separate dining area off the entry way, and a large open great room just off the kitchen, this floor plan offers the cohesive flow in layout many homeowners desire. 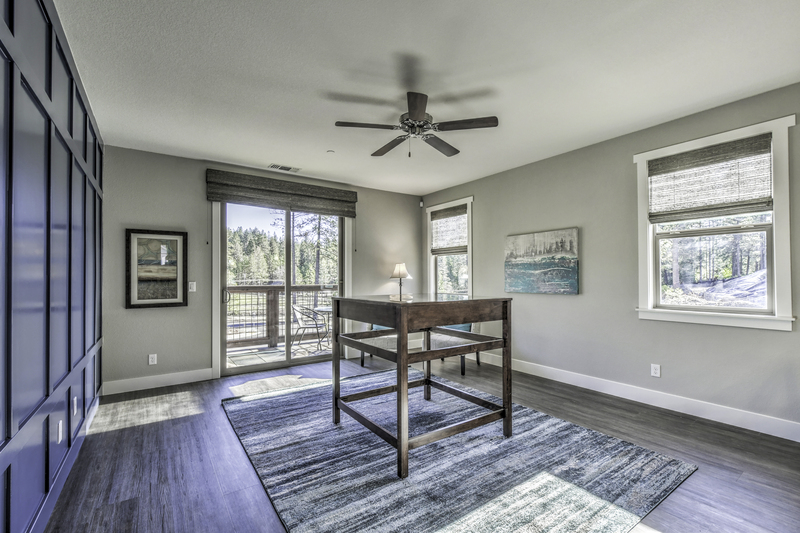 Beautiful windows allow natural light to pour throughout this home. 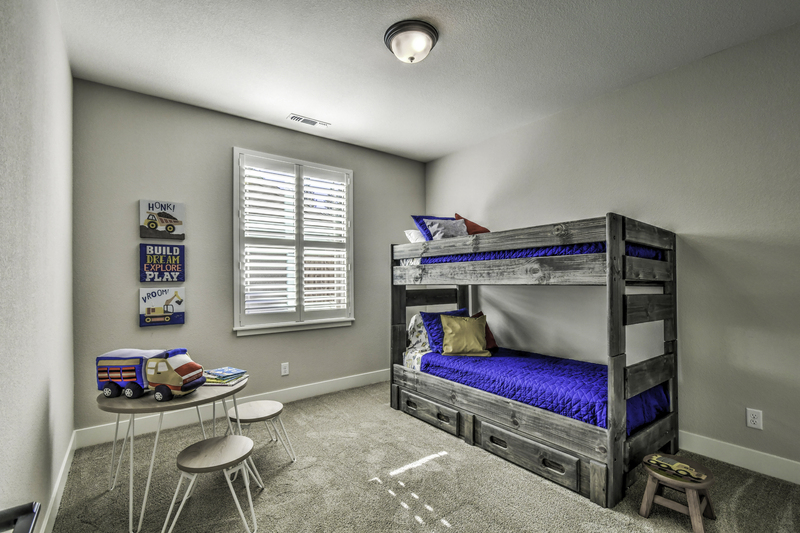 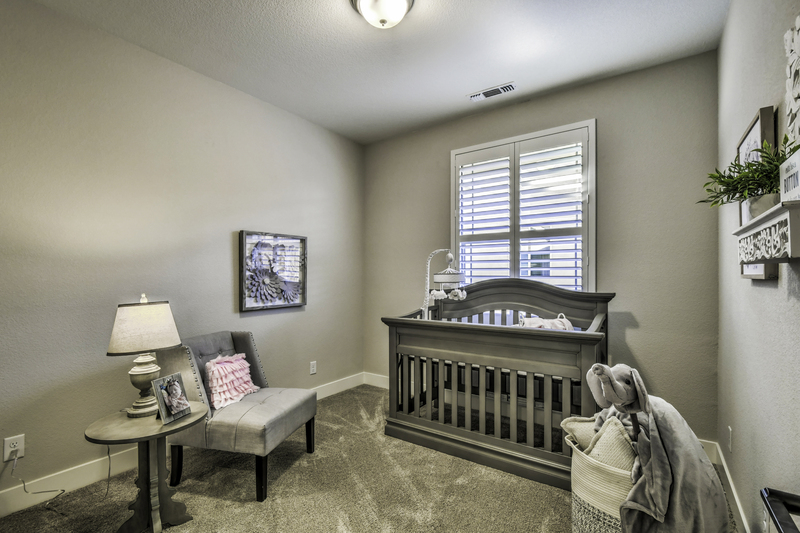 For families of all shapes and sizes we offer the option of a Study/Den in lieu of a fourth bedroom. 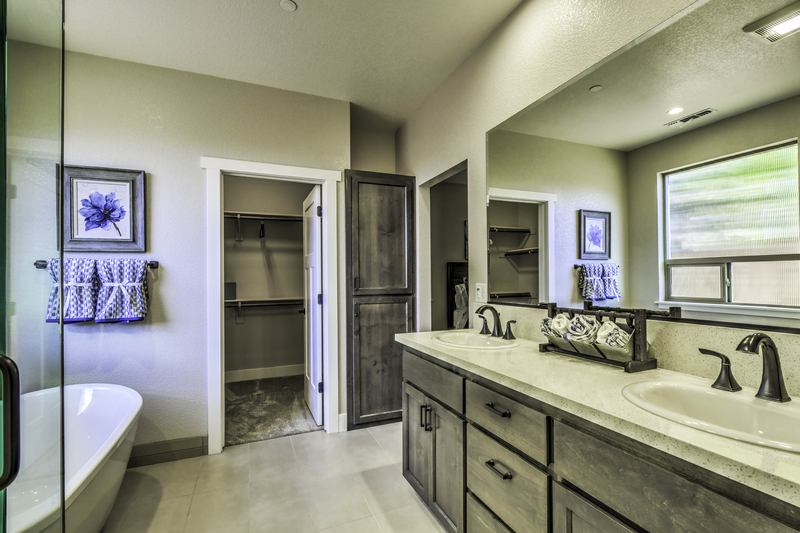 A large utility room offers a designated space for laundry needs and a linen closet for added storage. 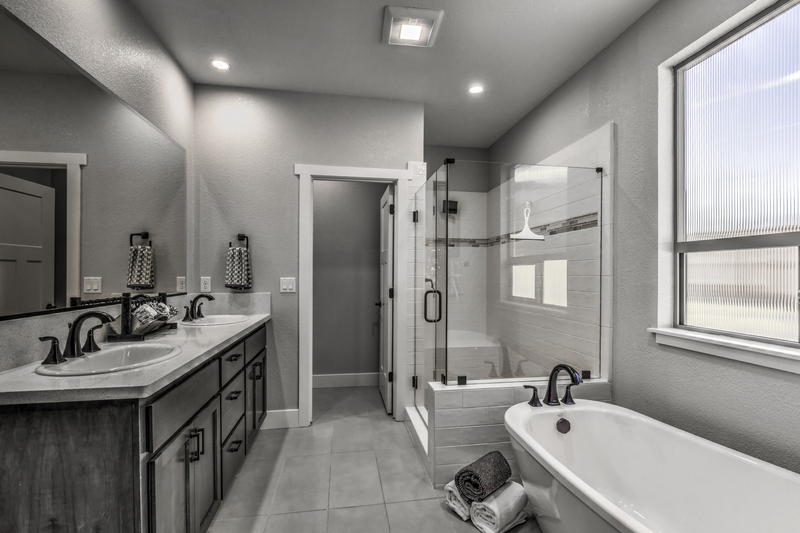 The spacious master suite features a spaciouswalk-in closet, dual sink vanity, a sizable glass enclosure tile shower, and plenty of space to relax and unwind. 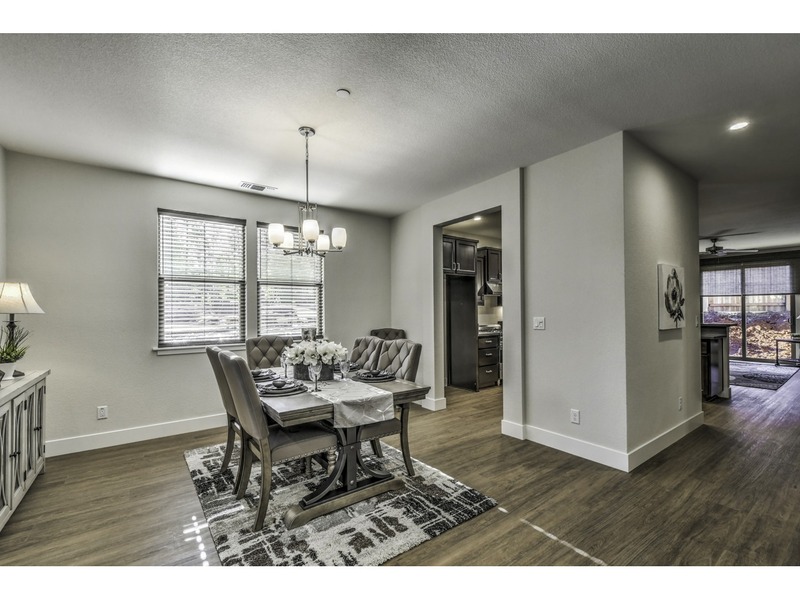 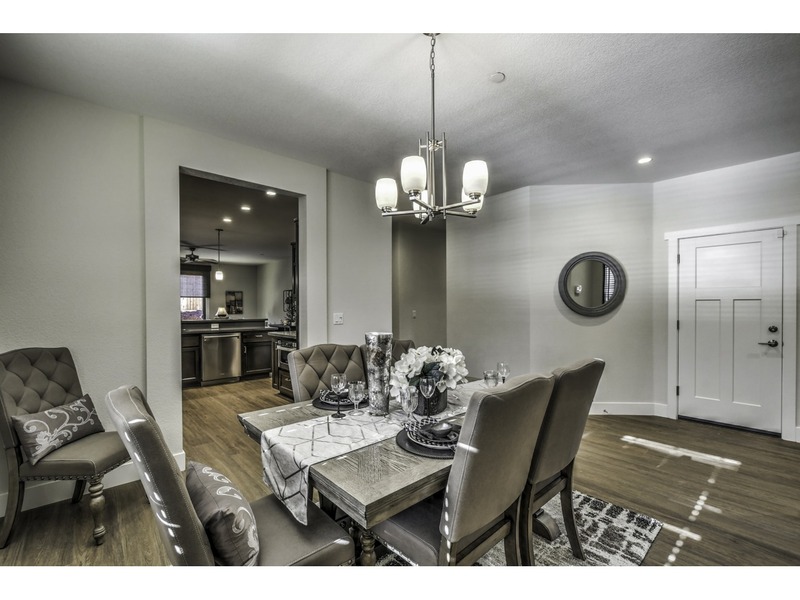 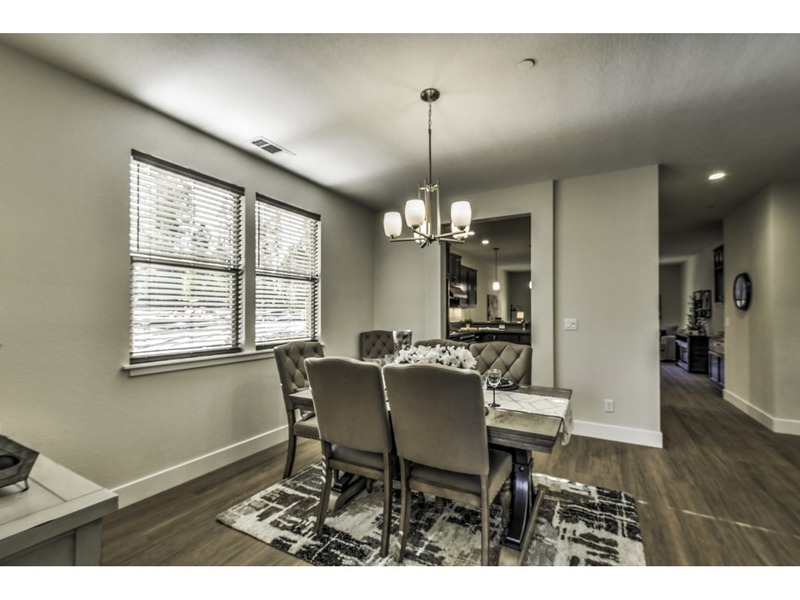 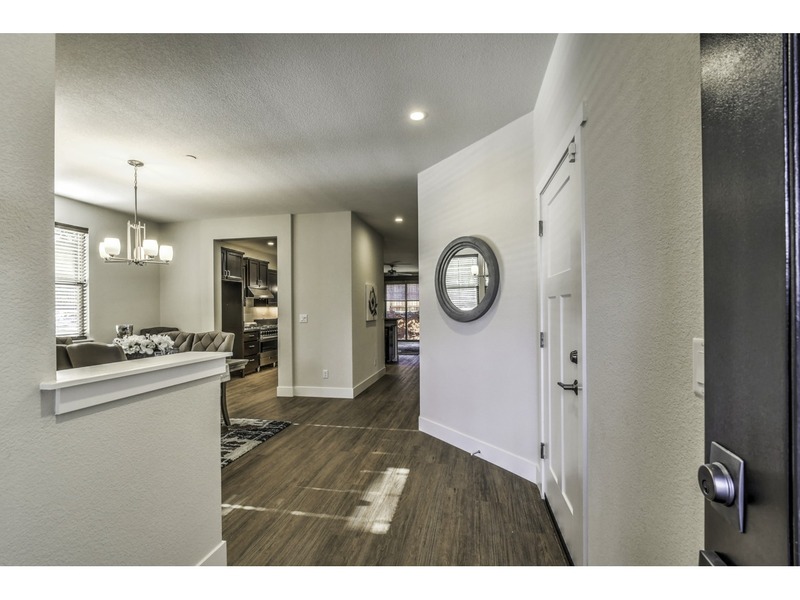 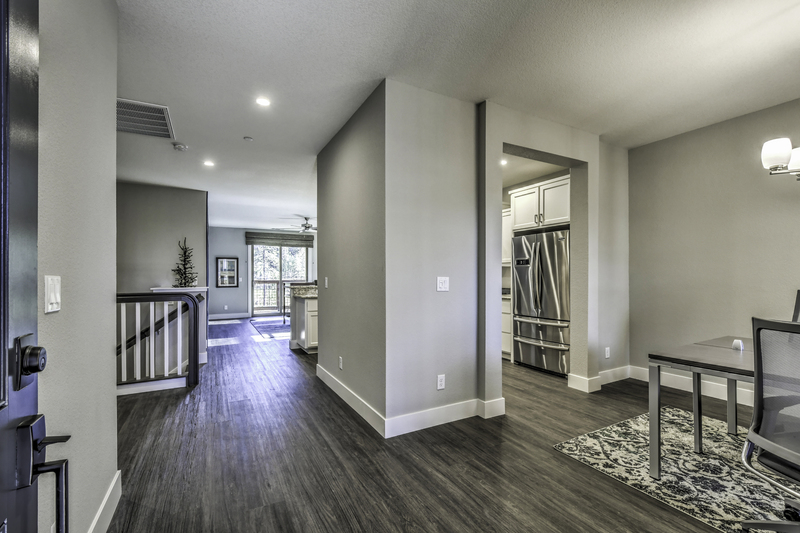 At 2,080 square feet, the Marshall is available in two floorplans: a 3-bedroom 2-bath or a 4-bedroom 2-bath. 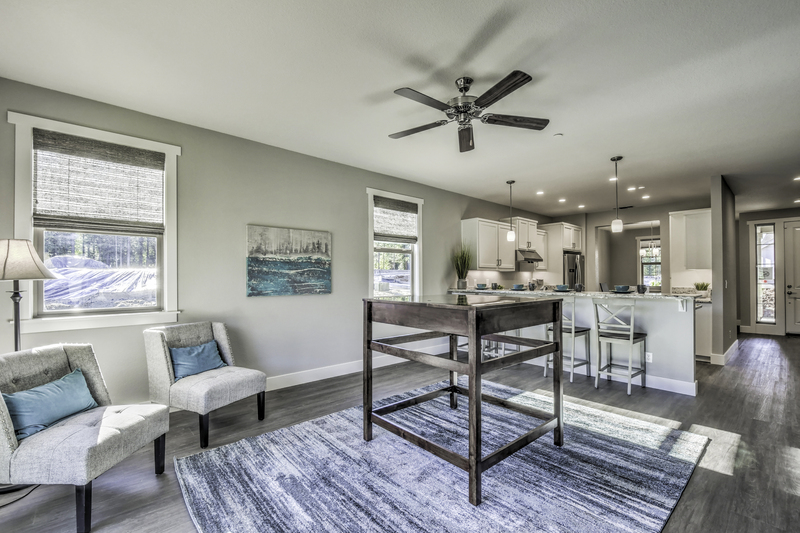 The 3–bedroom: This home offers a floor plan is anchored with a spacious Great Room, a separate front Dining Room, and an open nook right off the kitchen. 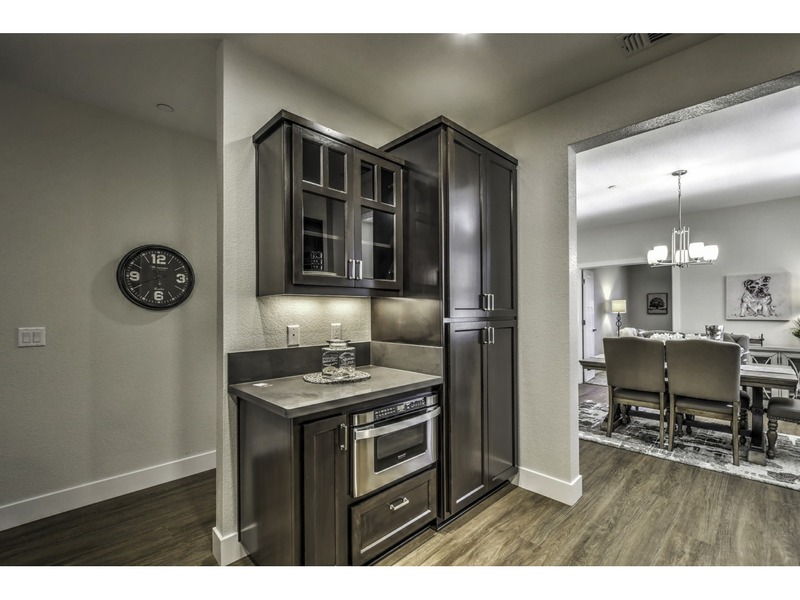 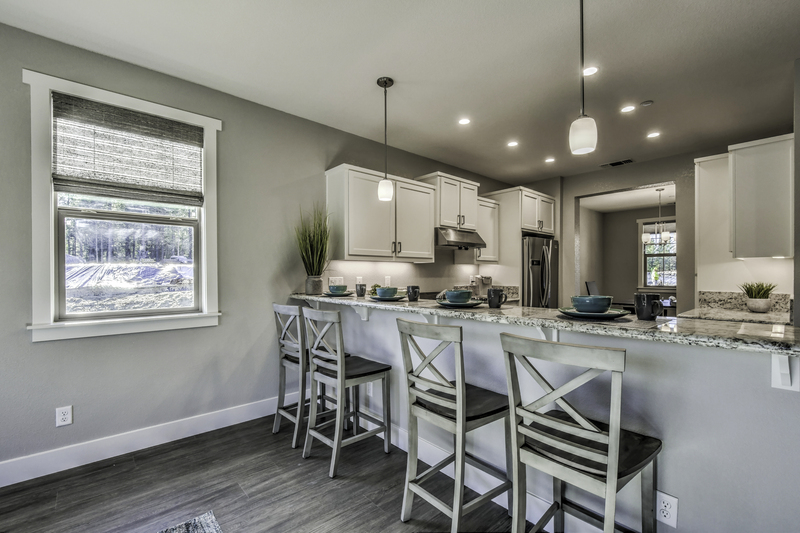 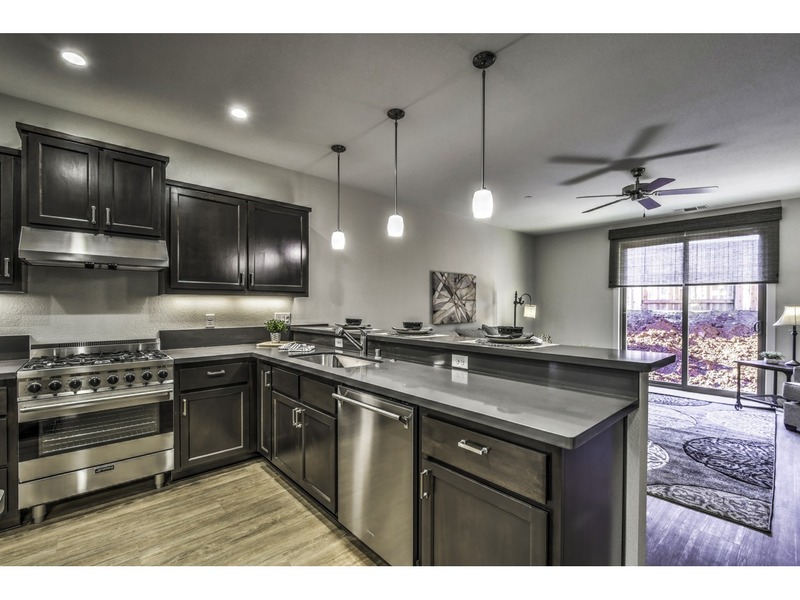 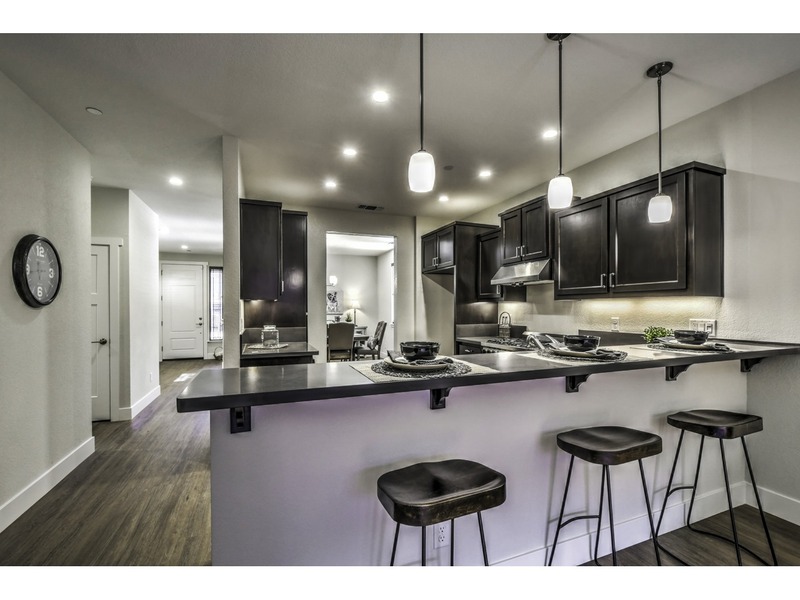 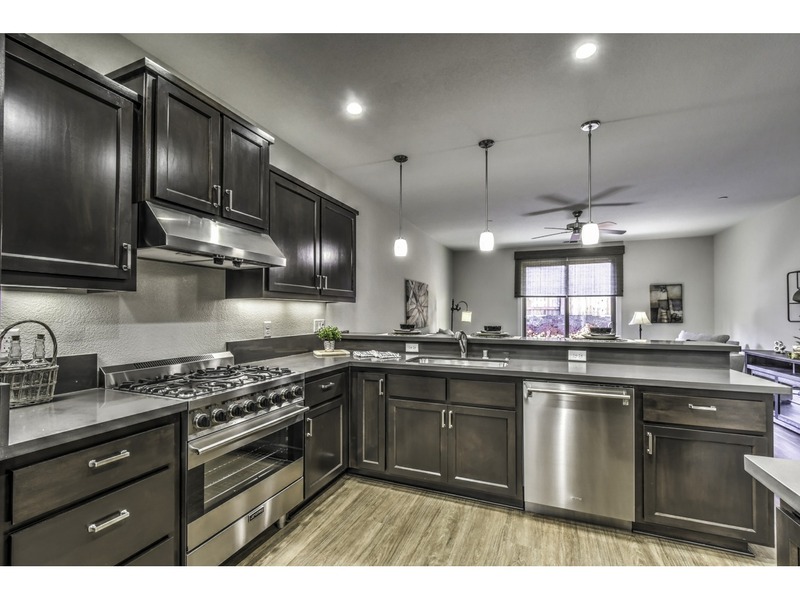 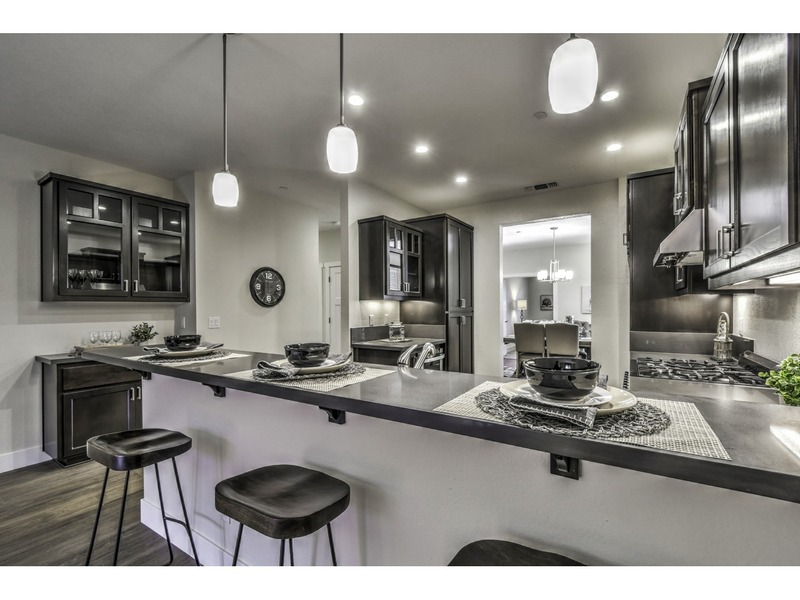 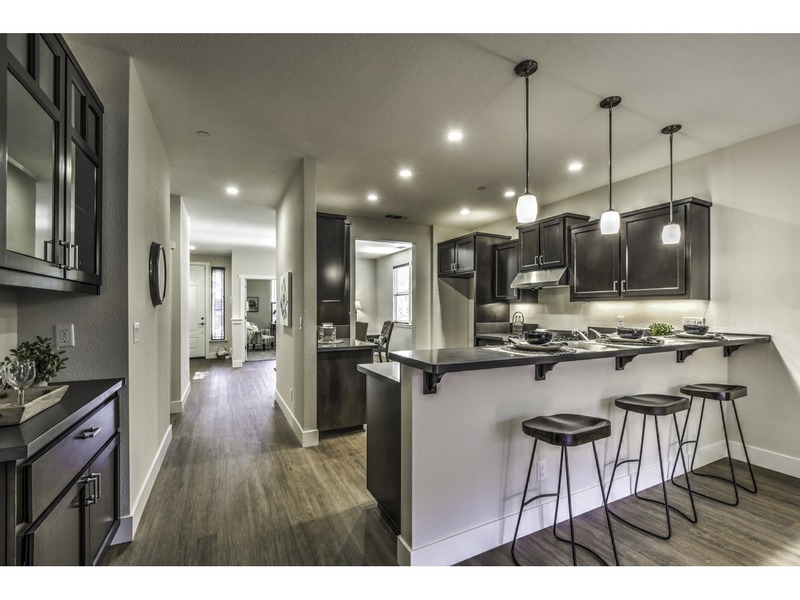 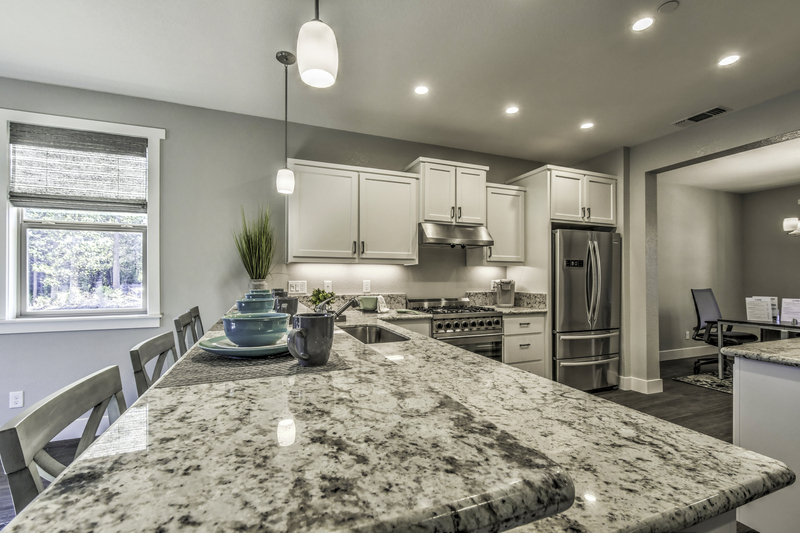 The Kitchen has entry on both sides, beautiful cabinetry, and plenty of free space from the lengthy bar counter top. 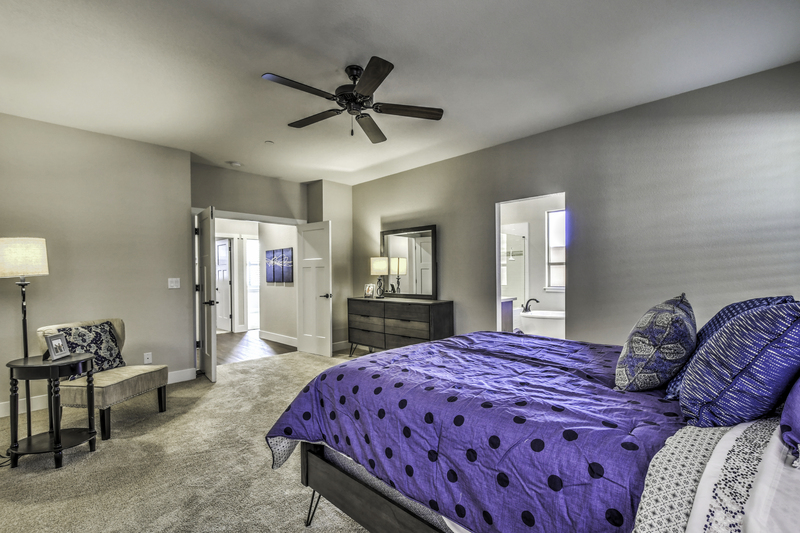 Double doors lead us into the large Master Suite, which features a generous walk in closet, double vanity sink, a free-standing tub and separate tile shower. 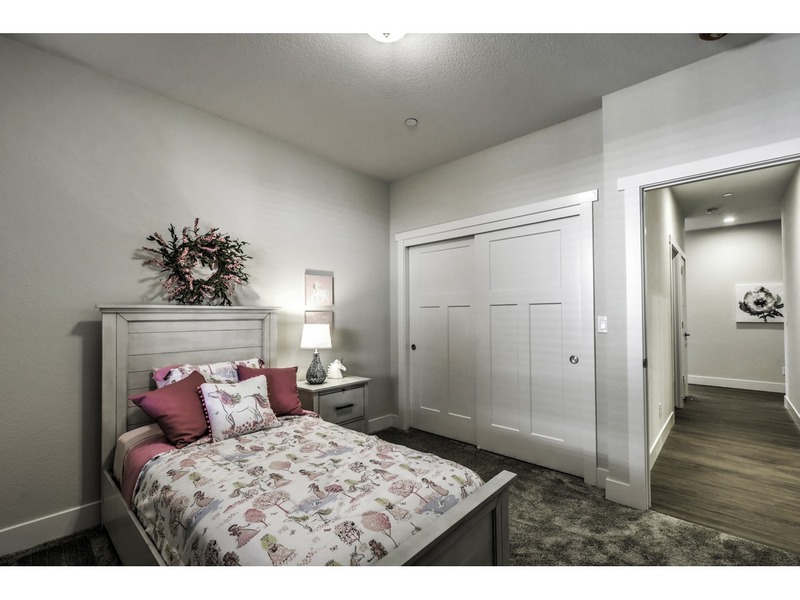 Bedroom two has a large walk-in closet and the option of a pocket door for direct access to the main bathroom. 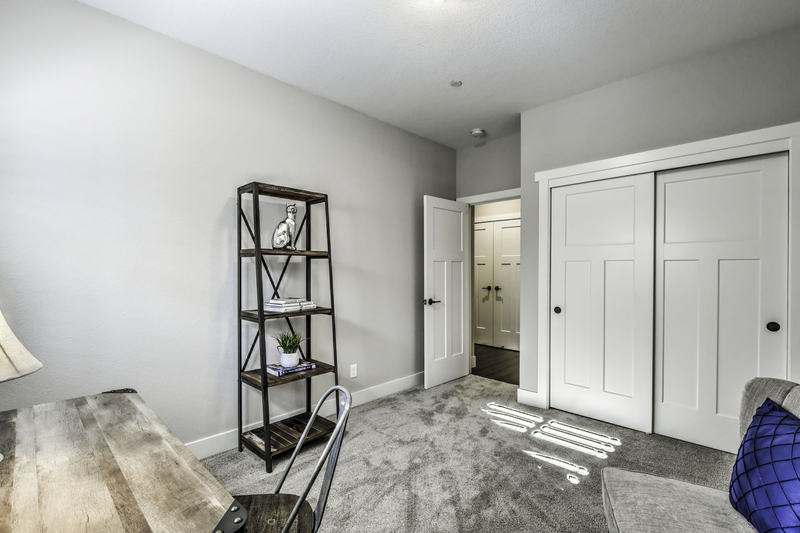 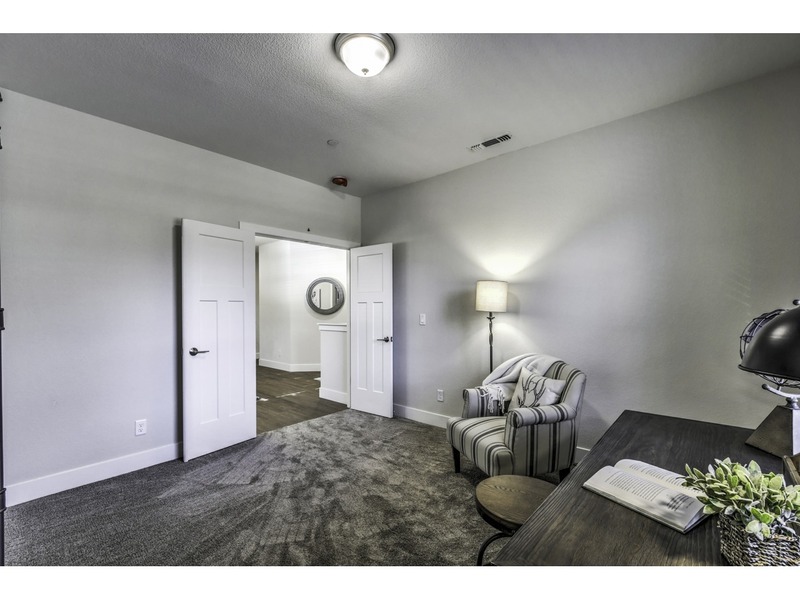 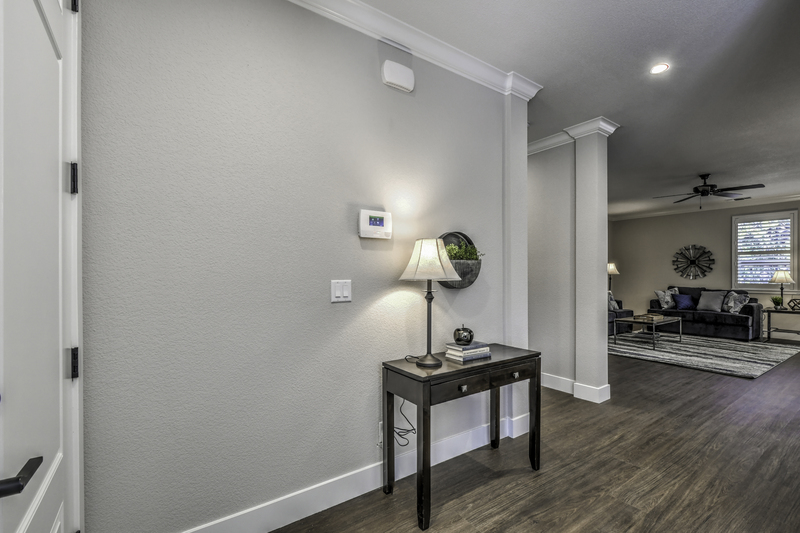 Right across the hall from the garage entrance, this floor plan also features an enclosed Utility Room with washer and dryer hook ups and a convenient laundry sink. 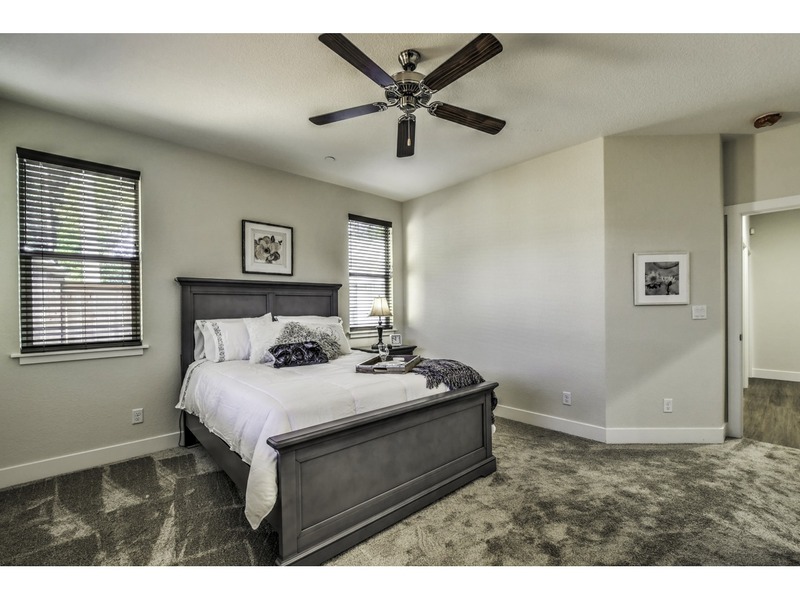 The 4 –bedroom: This home offers an enormous Great Room and spacious front Dining Room with open entryways leading to Entry and Kitchen. 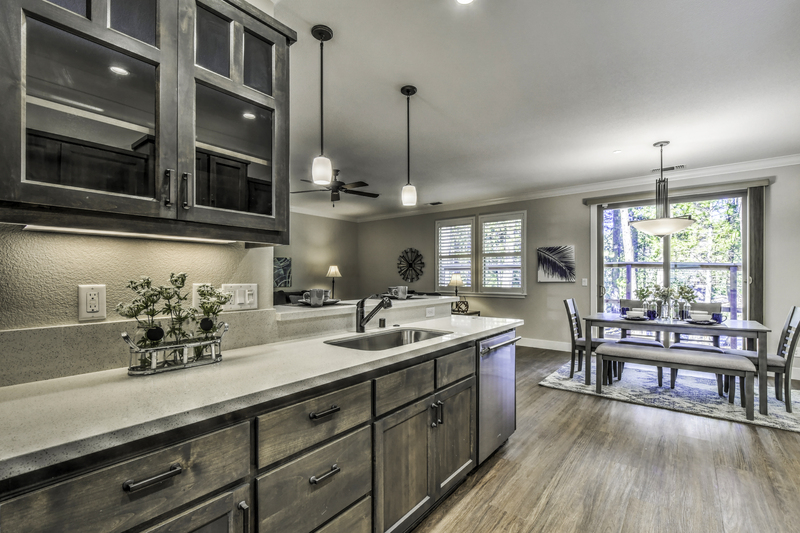 The Kitchen features a bar top counter and opens into the Great room and large open nook, with direct access to the back yard. 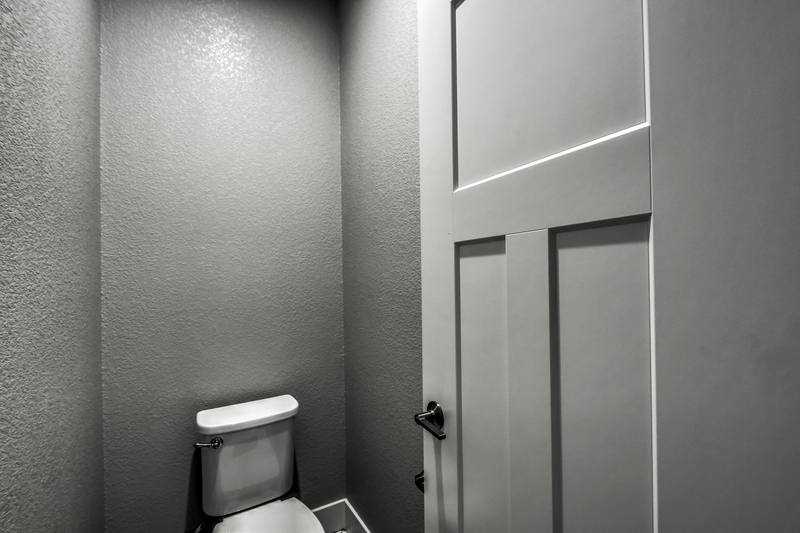 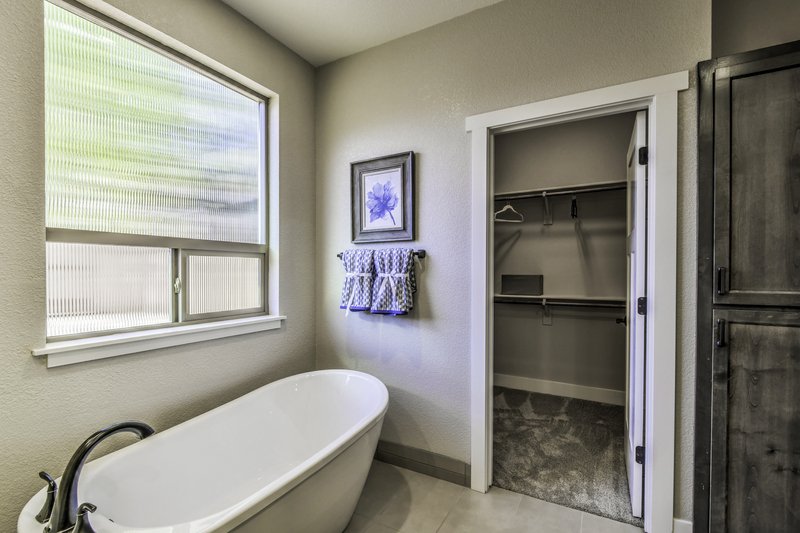 Double doors lead us to the large Master Suite, which features a generous walk in closet, double vanity sink, with free standing tub and separate tile shower. 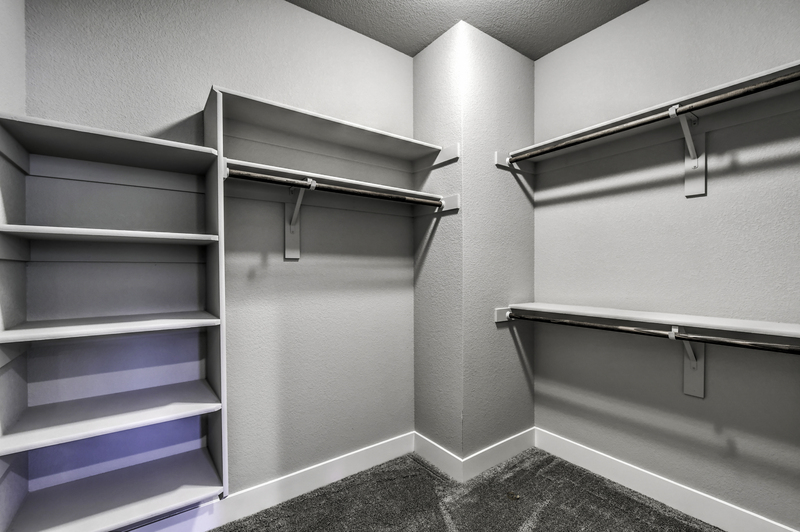 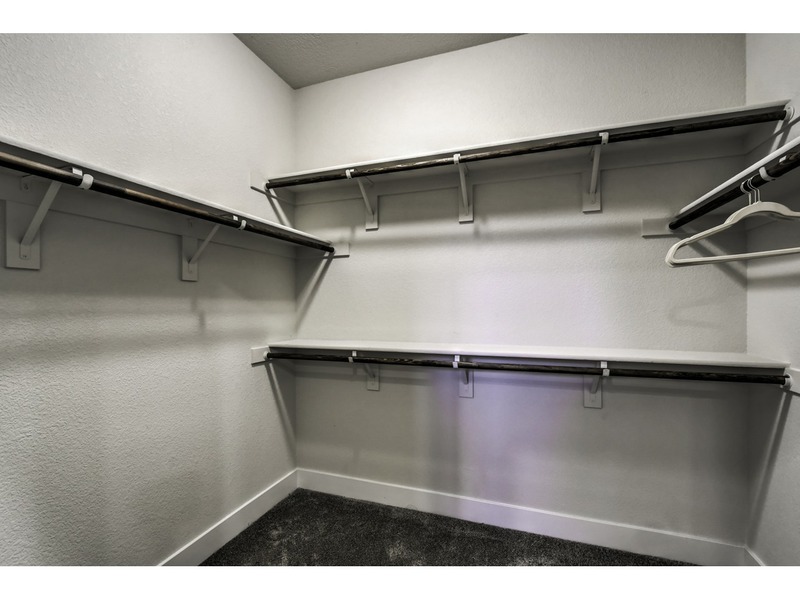 Bedrooms have plenty of closet space. 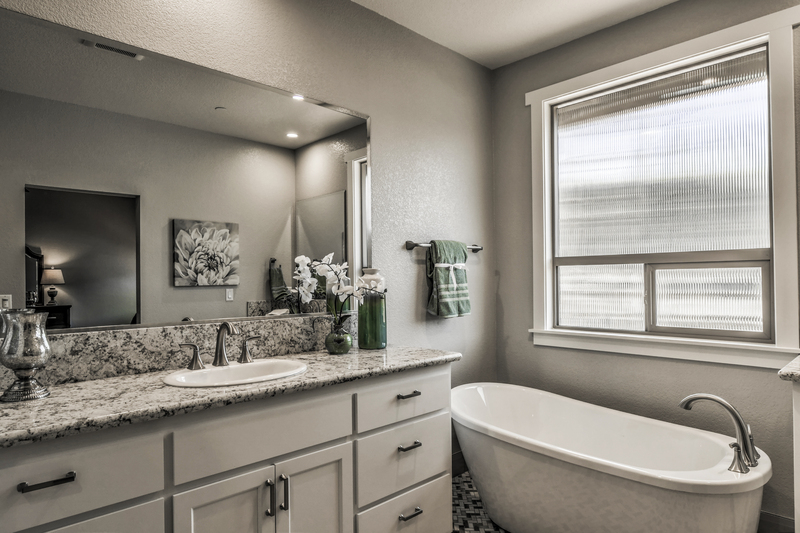 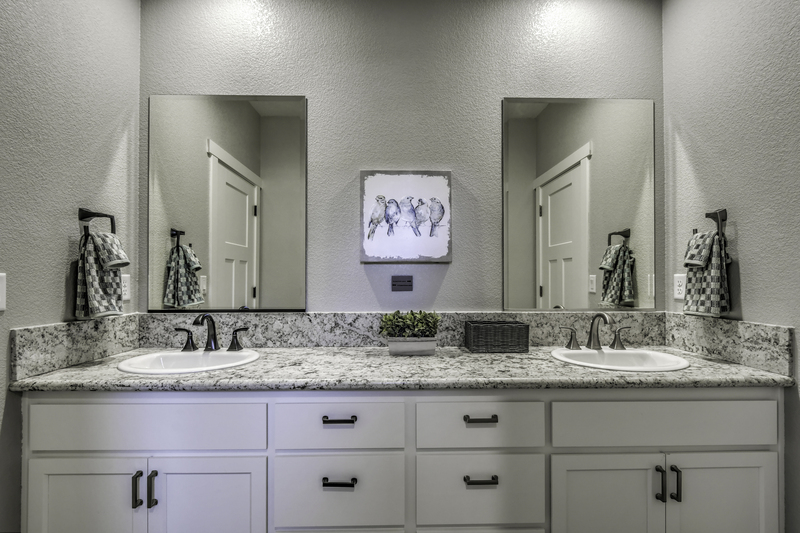 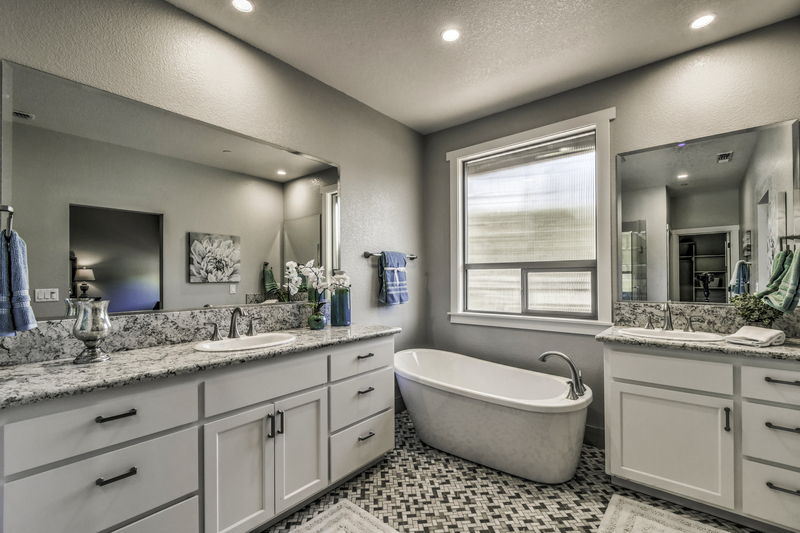 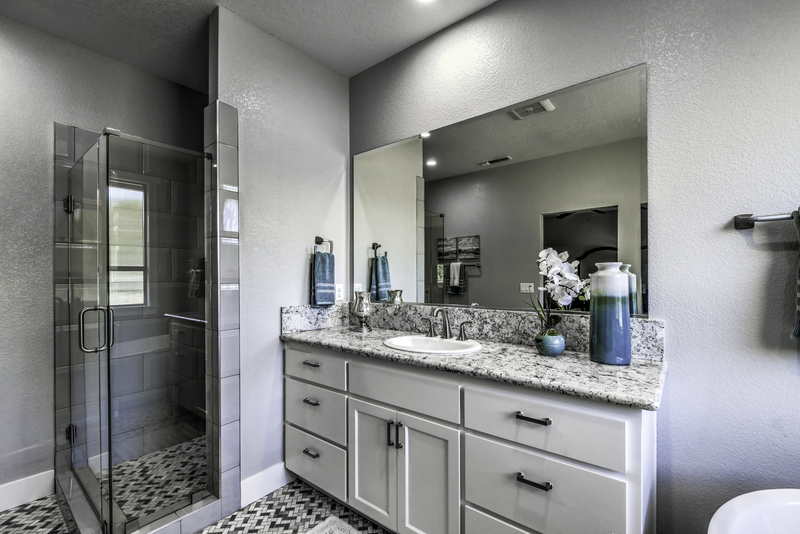 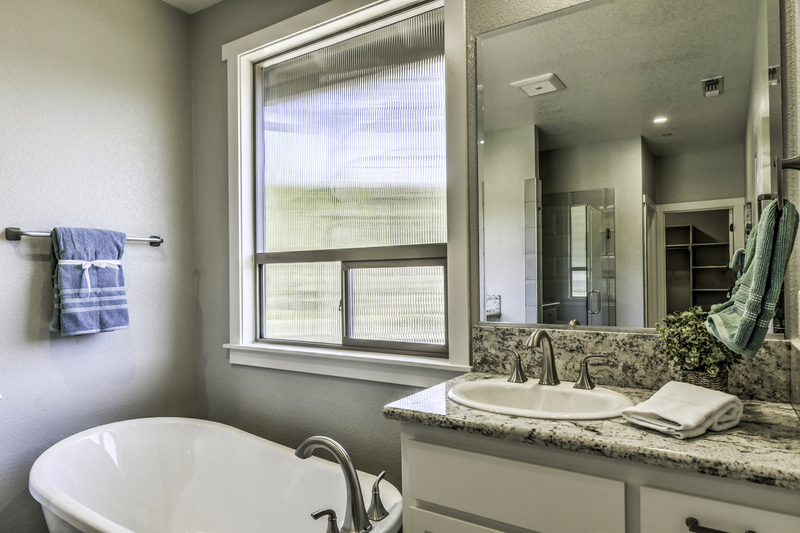 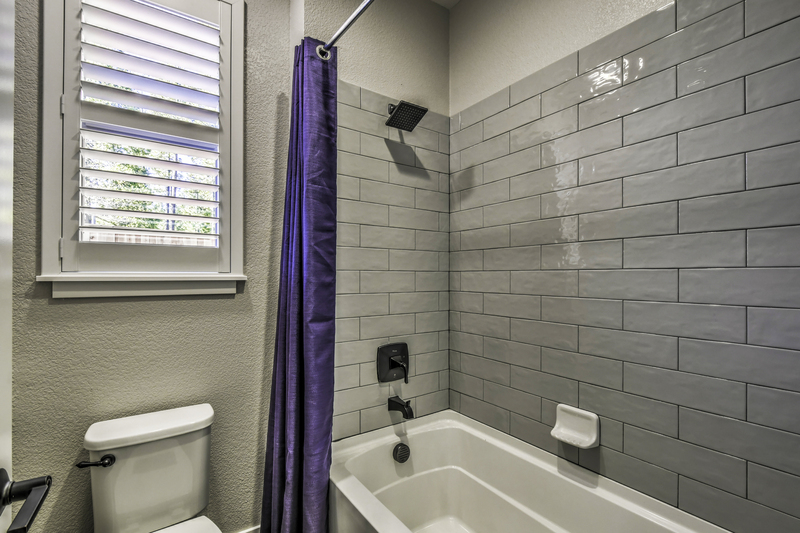 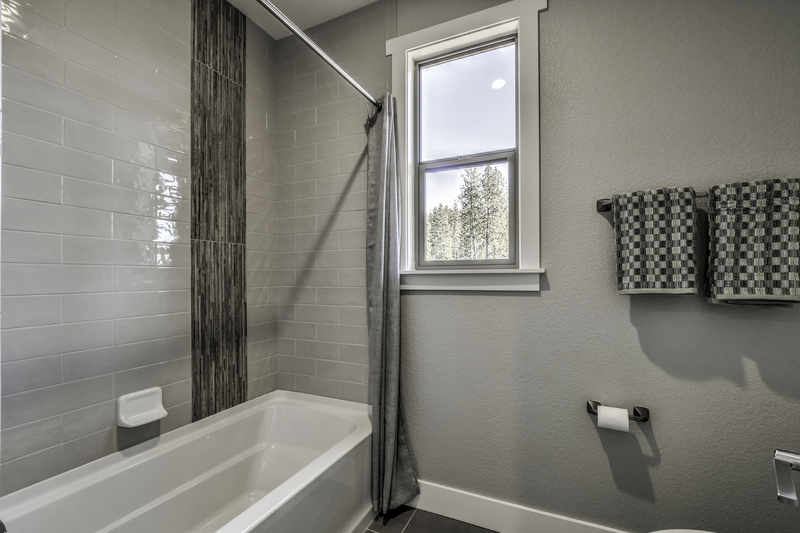 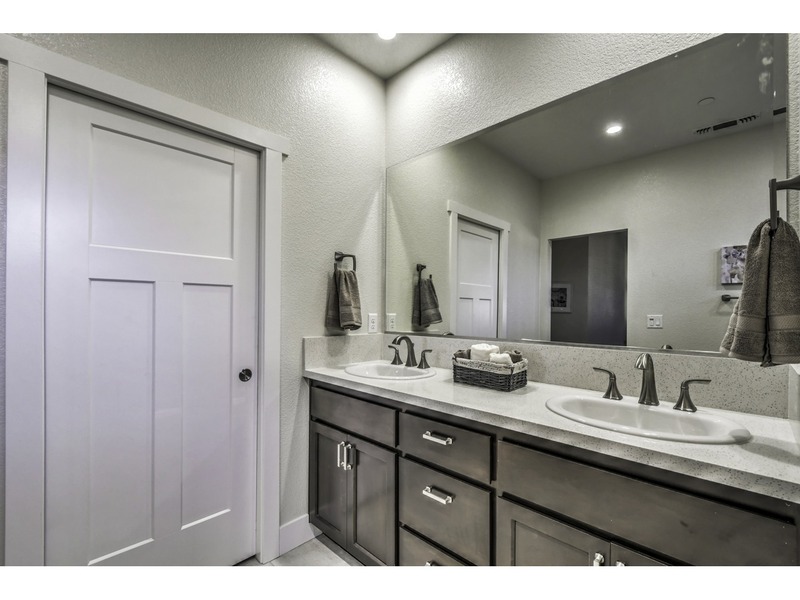 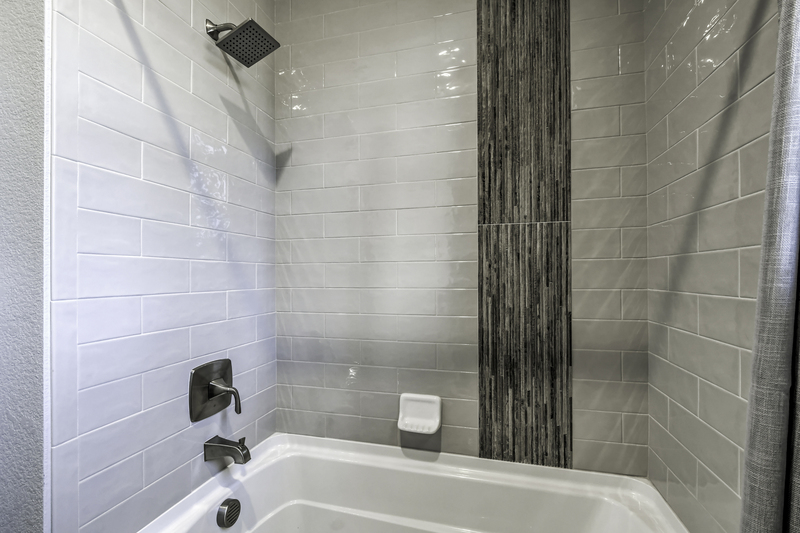 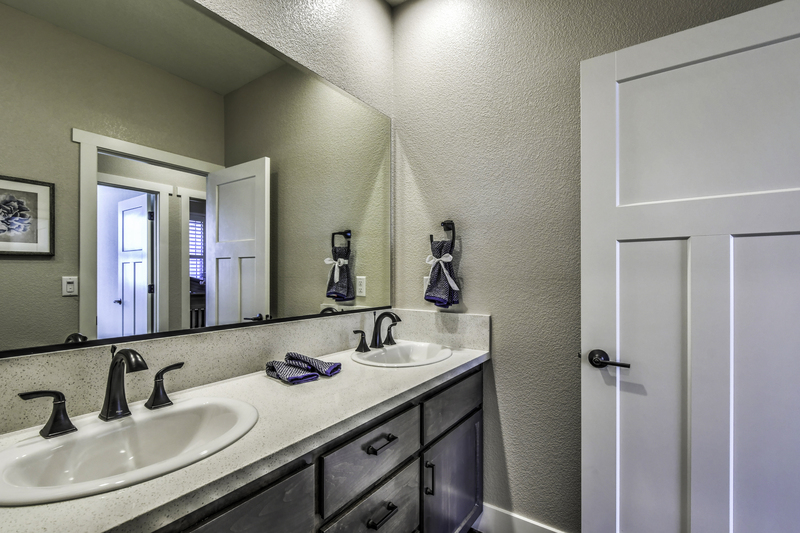 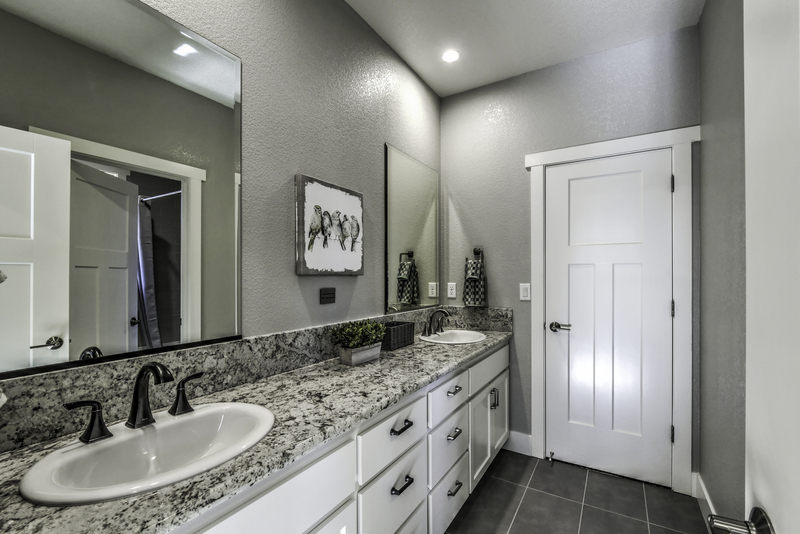 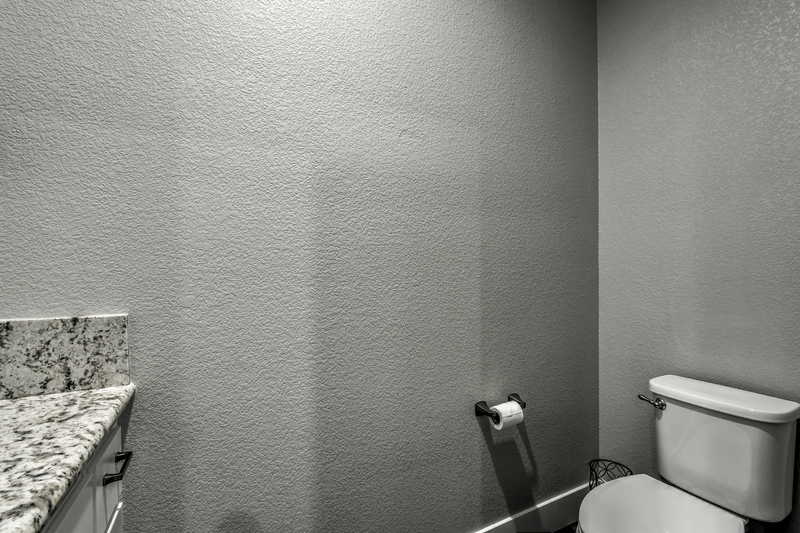 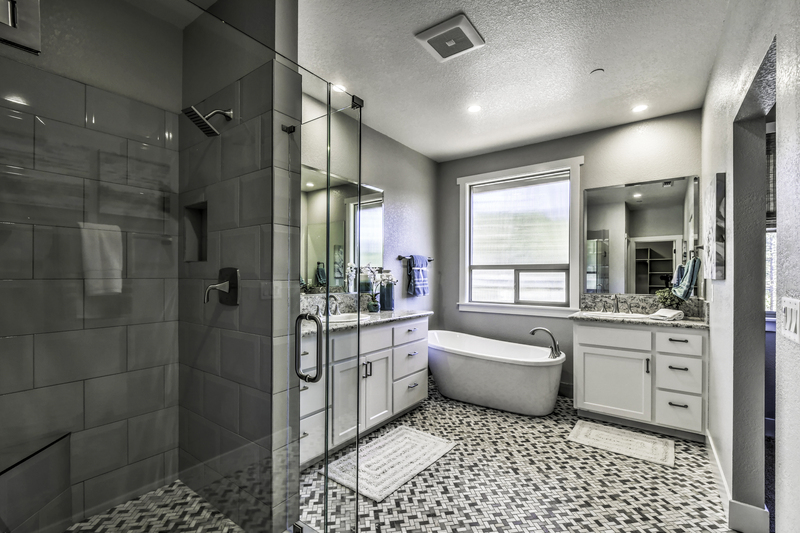 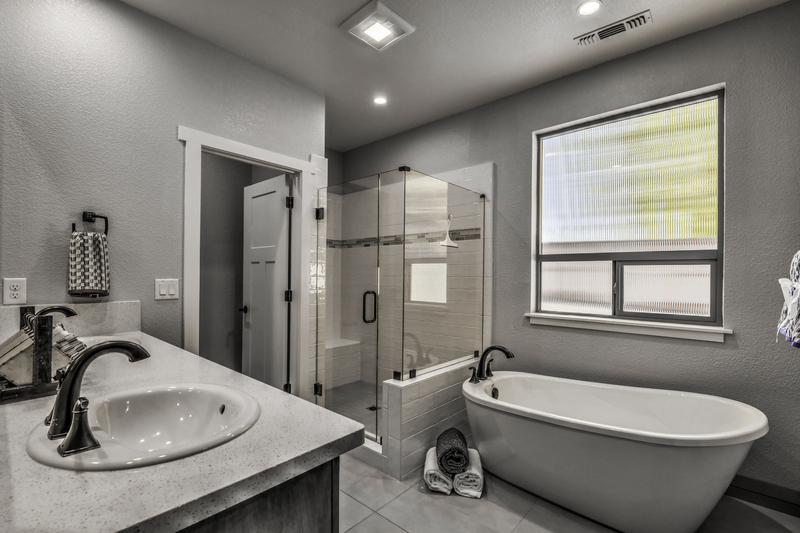 The main bath has double vanity sinks and a shower/tub combo, perfect for kids and guests of all ages. 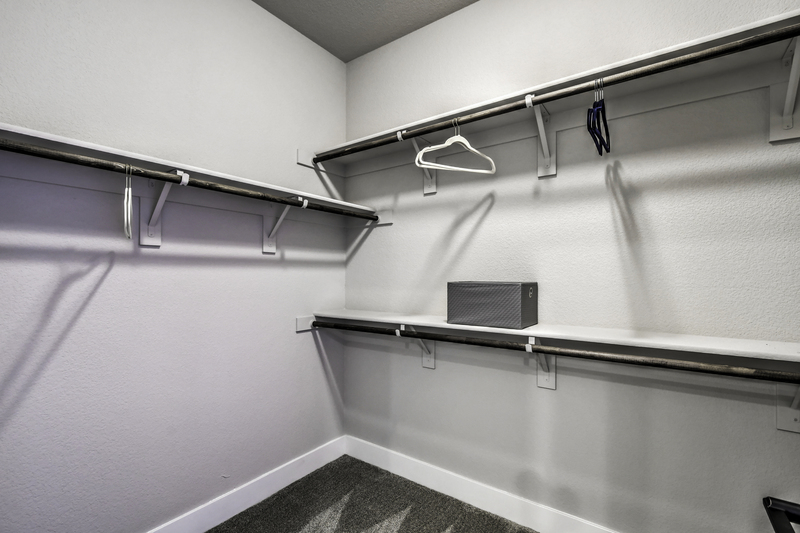 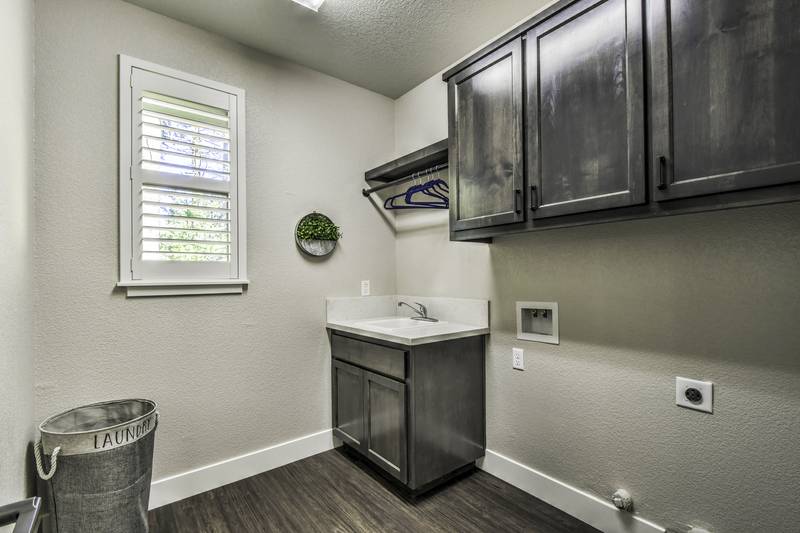 The enclosed Utility Room has a convenient laundry sink and hook ups, creating a designated area for laundry without sacrificing storage space. 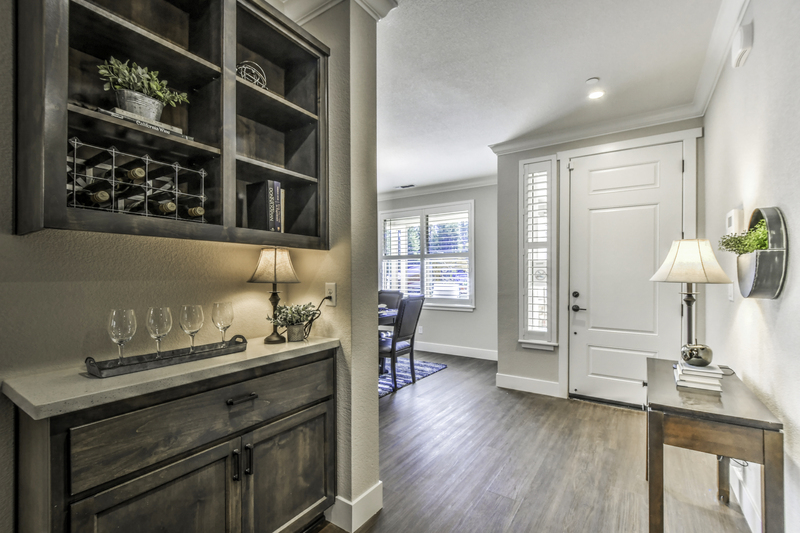 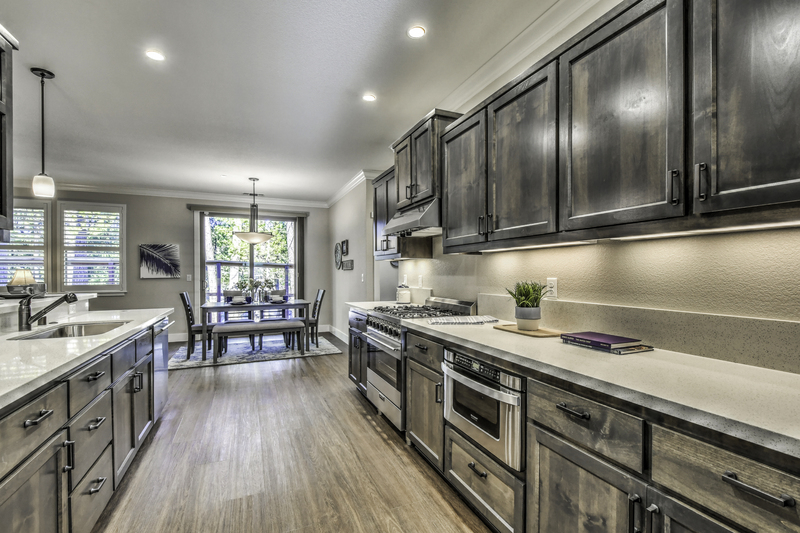 At 2,224 square feet, The Sutter is available in 2 floor plans: a 3-bedroom, 2.5-bath, 2-story floorplan or 4-bedroom, 2.5-bath, 2-story floorplan. 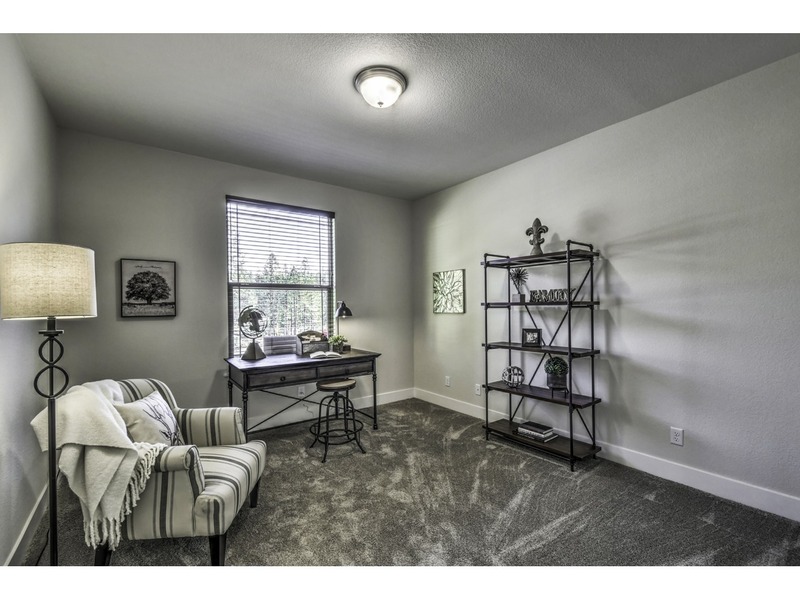 3–bedroom: This home has a spacious Great Room with a raised deck and front Dining Room. 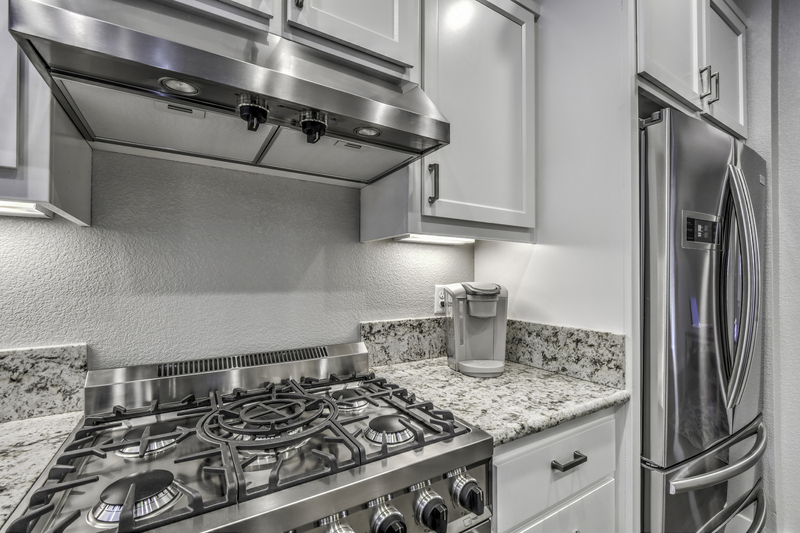 The Kitchen has entry on either side with a lengthy bar top counter. 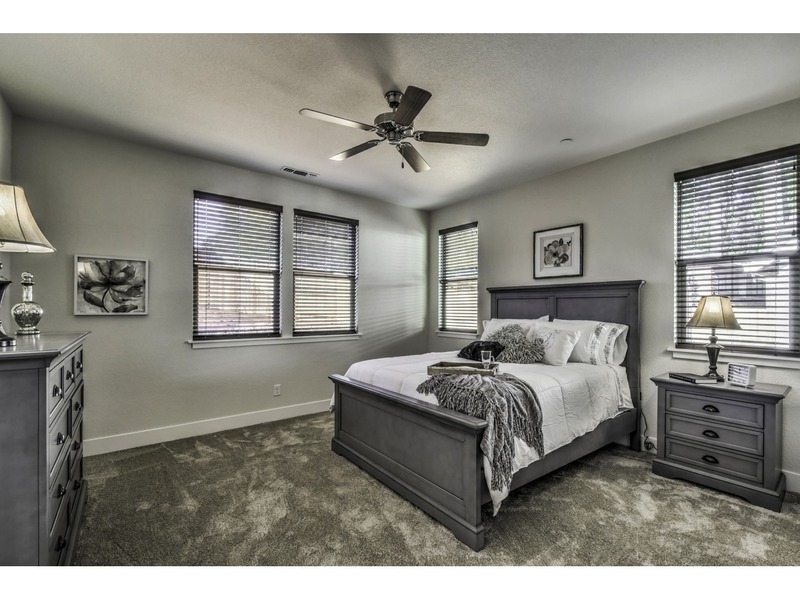 The large Master Suite has a generous walk in closet, double vanities sink, with separate free-standing tub and tile shower. 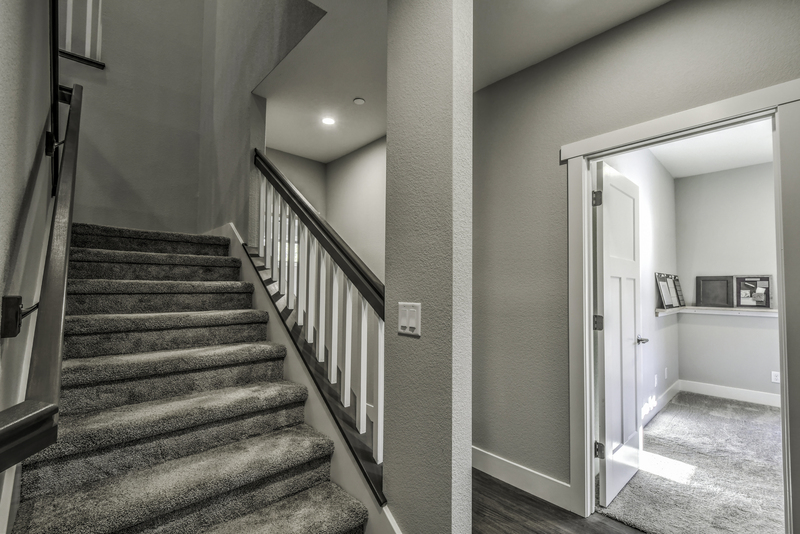 Includes a center staircase with extra storage space. 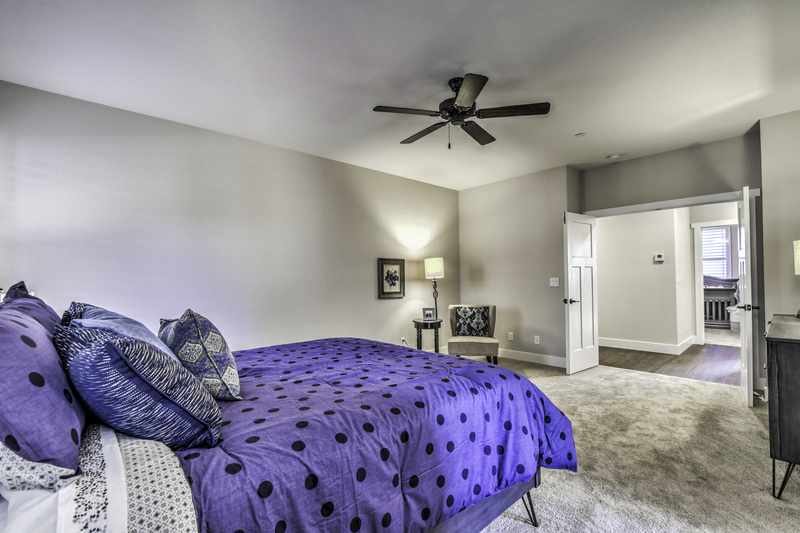 The lavish lower floor bedrooms both have walk-in closets and both rooms have personal entrance into the main bath. 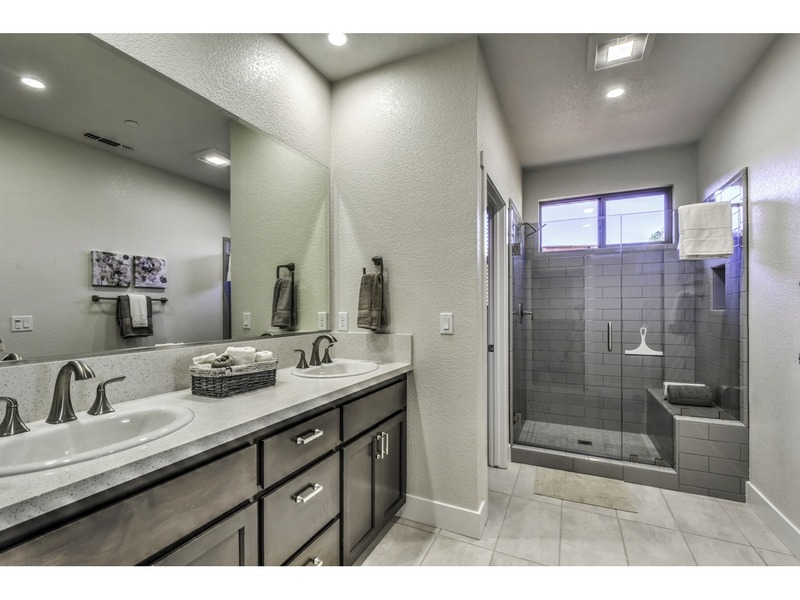 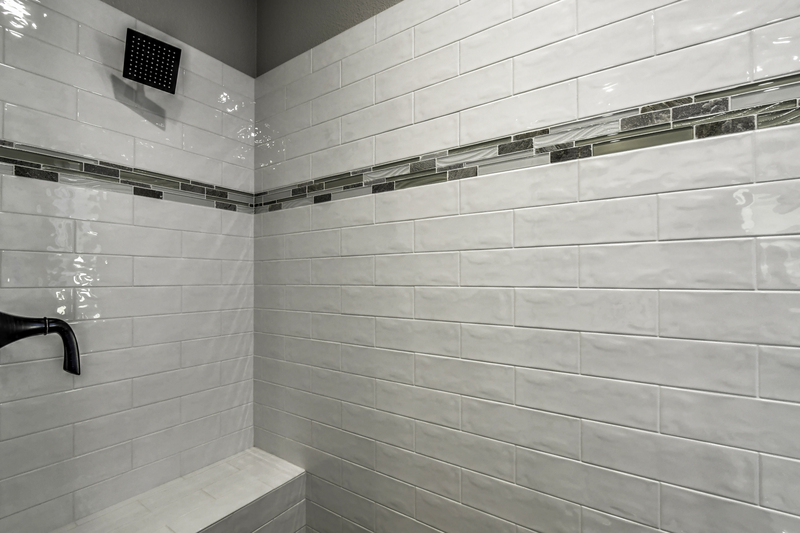 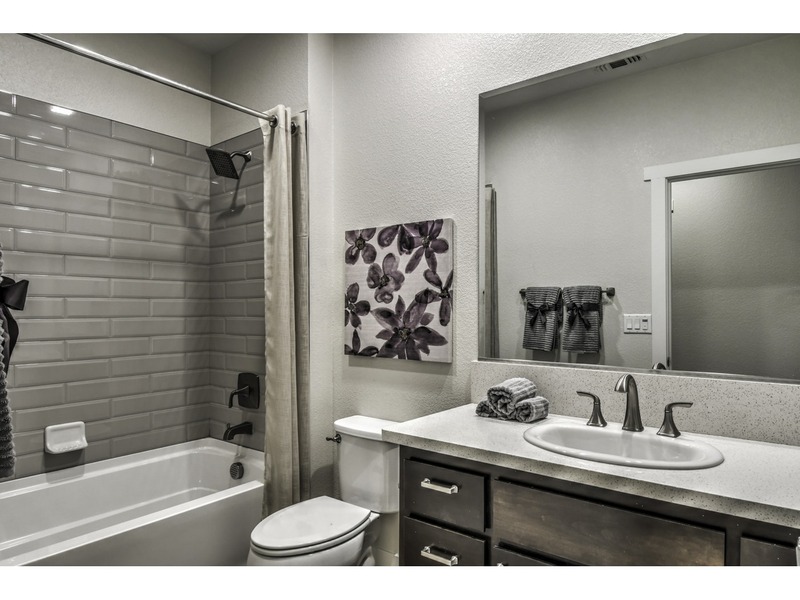 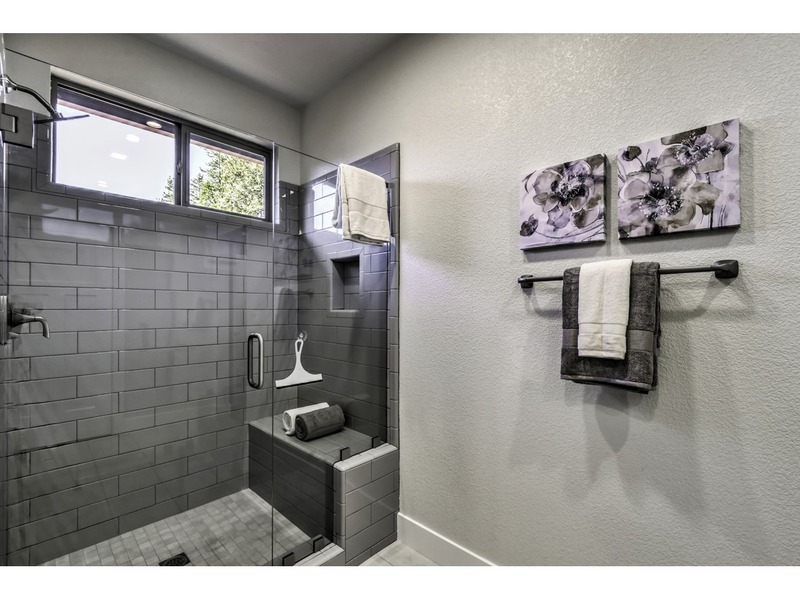 The large main bath area has double vanity sinks, tile shower/tub combo and a door in-between for easy sharing. 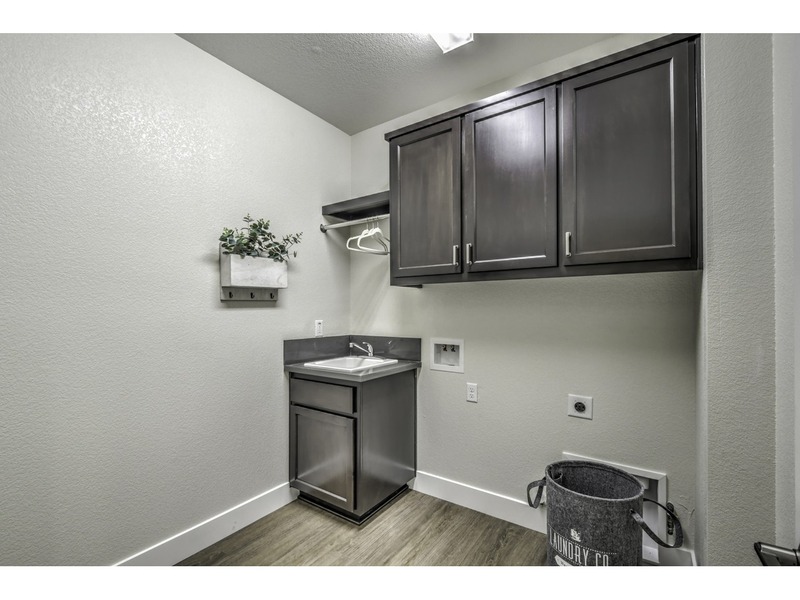 The Utility Room has a convenient laundry sink and is enclosed allowing you to close off those daily chores at the end of the day and relax. 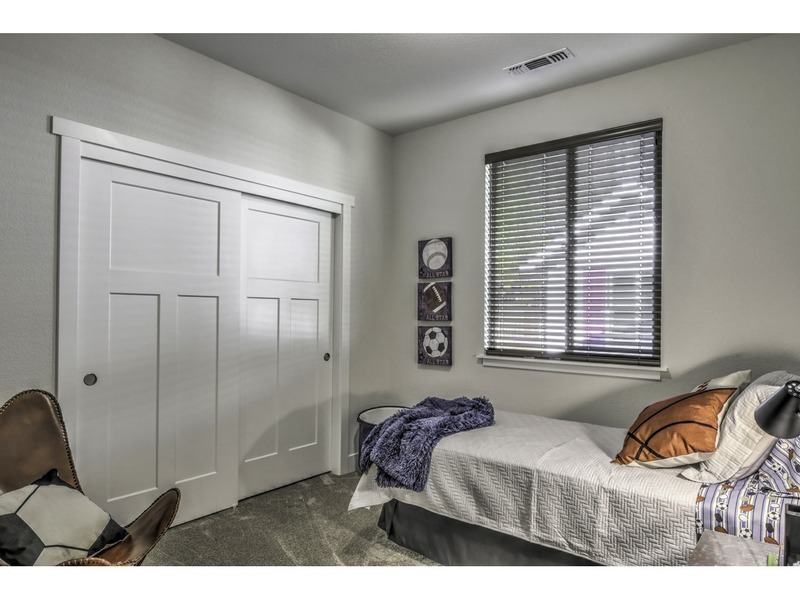 4 –bedroom: This home has a spacious Great Room with a raised deck and front Dining Room. 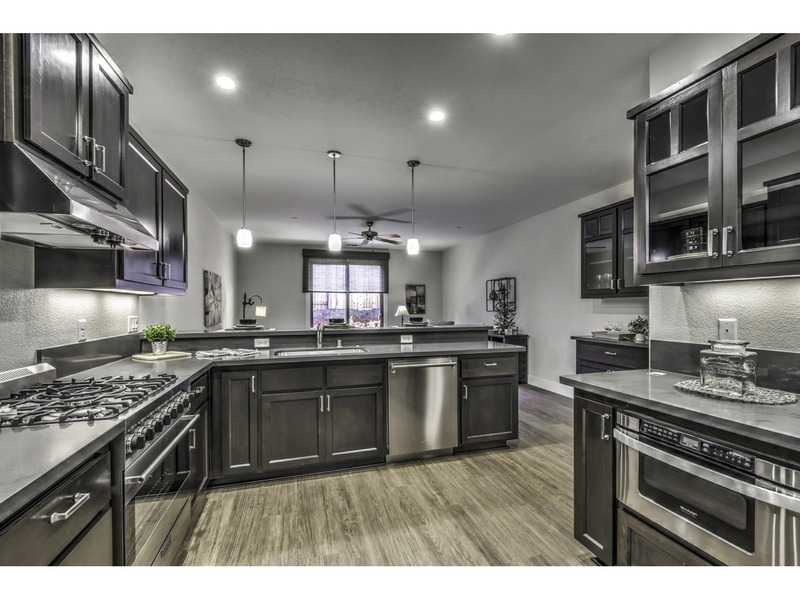 The Kitchen has entry on either side and with a lengthy bar top counter. 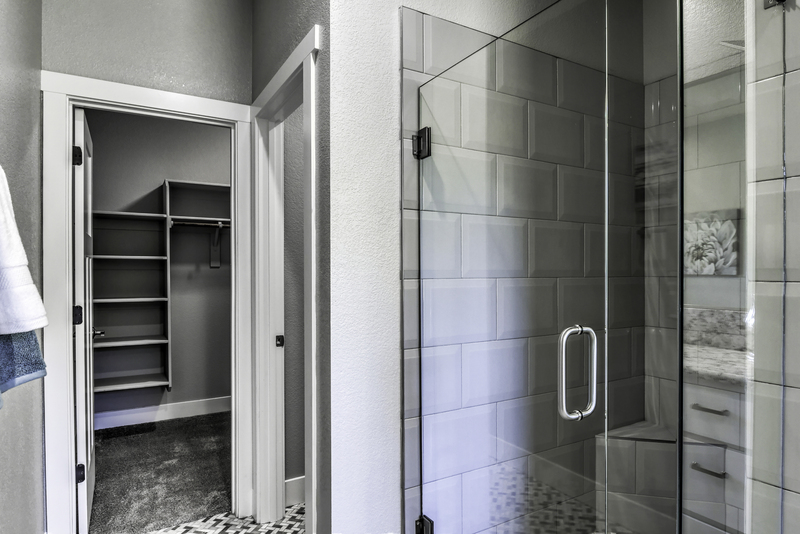 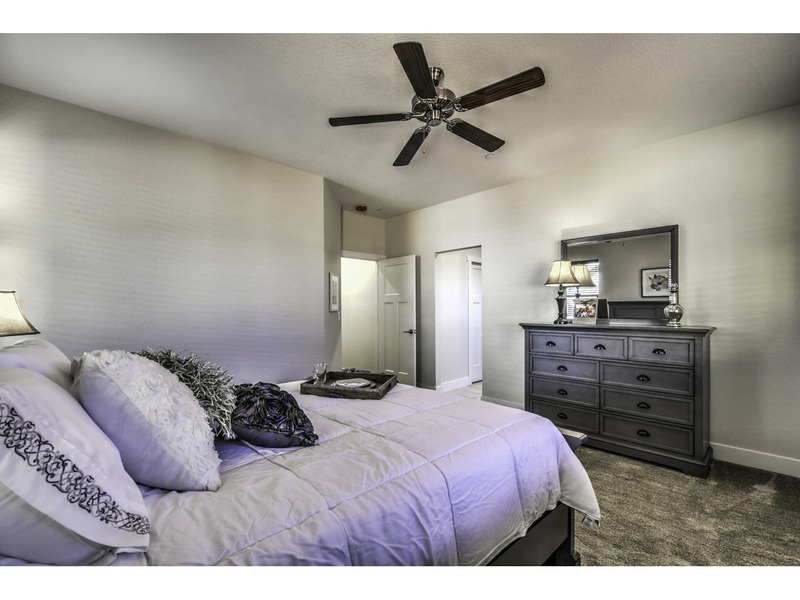 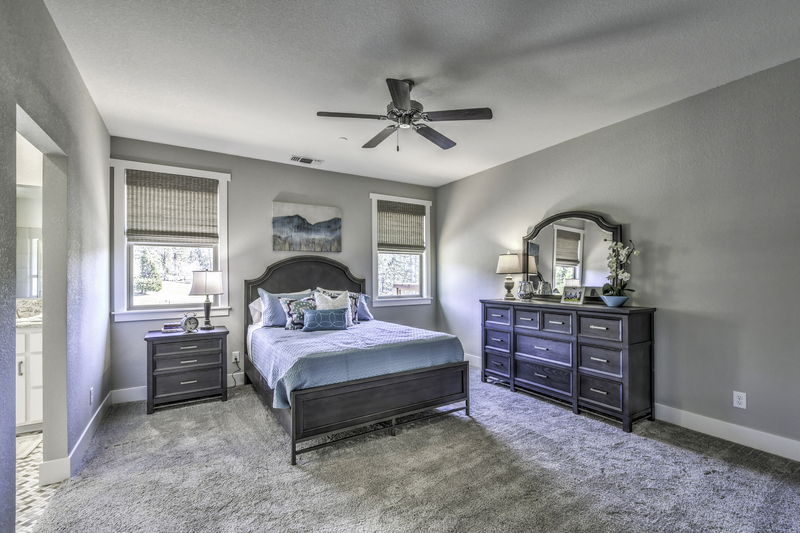 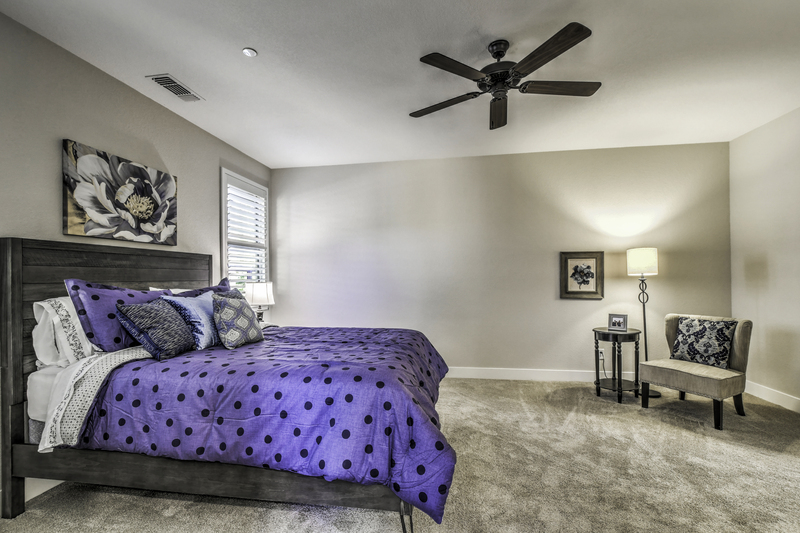 The large Master Suite has a generous walk in closet, double vanities sink, with separate free-standing tub and shower. 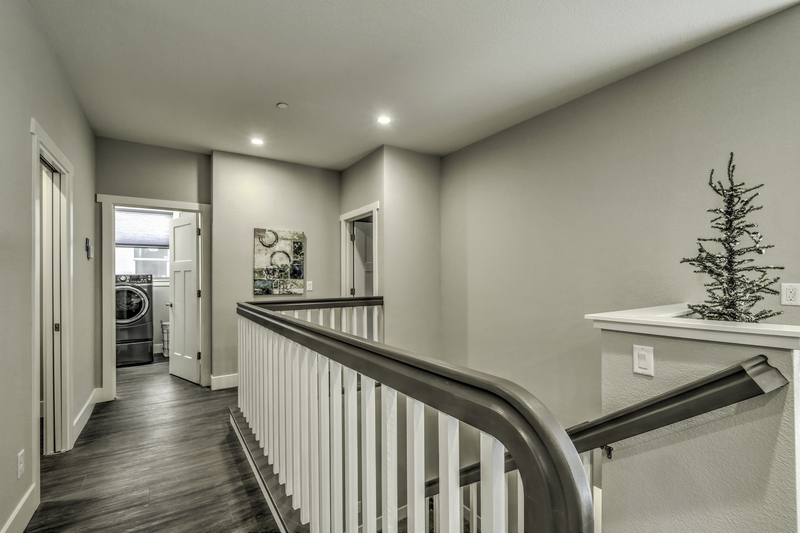 Includes a center staircase with extra storage space. 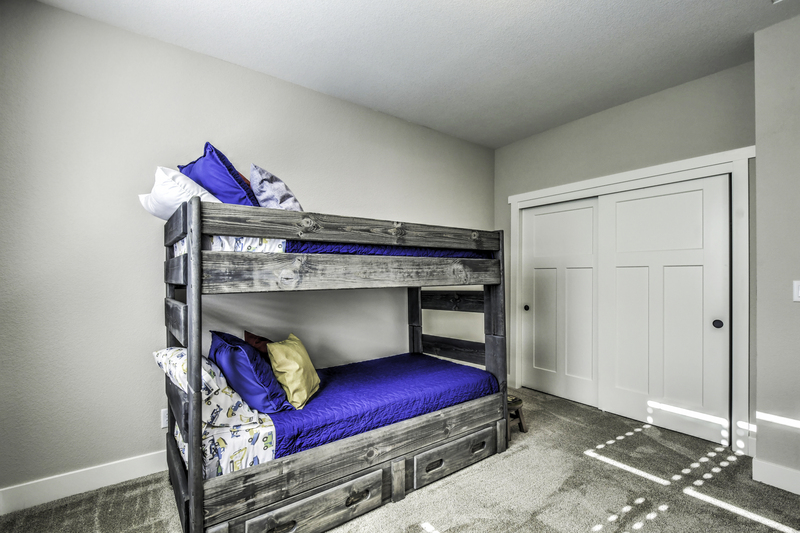 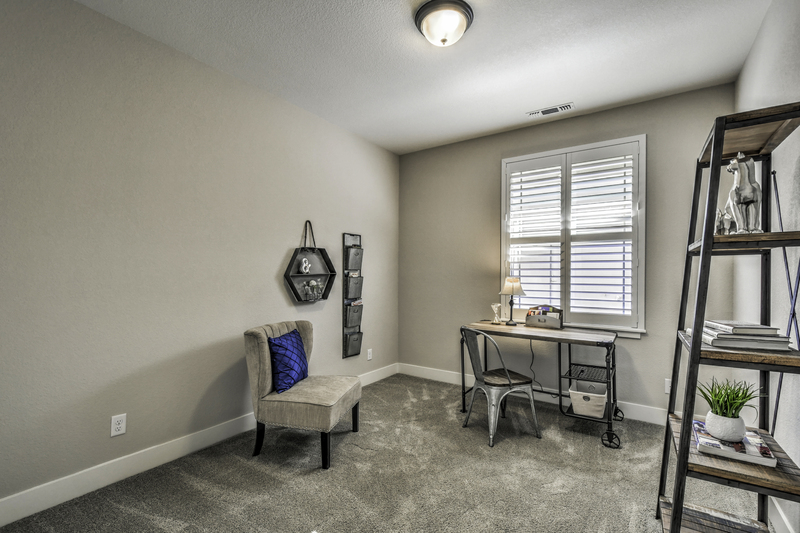 The lower floor bedrooms have plenty of closet space and the lower floor has an extra open space to make your own. 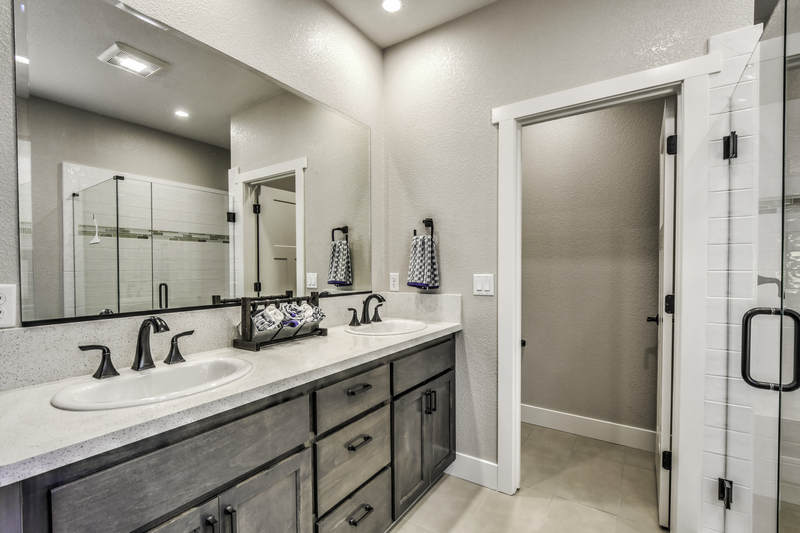 The main bath has double vanity sinks, tile shower/tub combo and a door in-between for easy sharing. 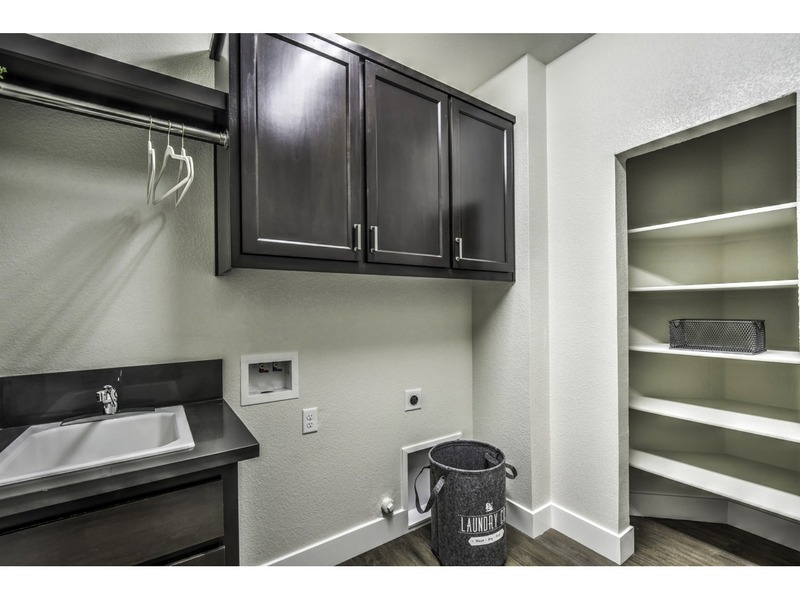 The Utility Room has a convenient laundry sink and is enclosed allowing you to close off those daily chores at the end of the day and relax.